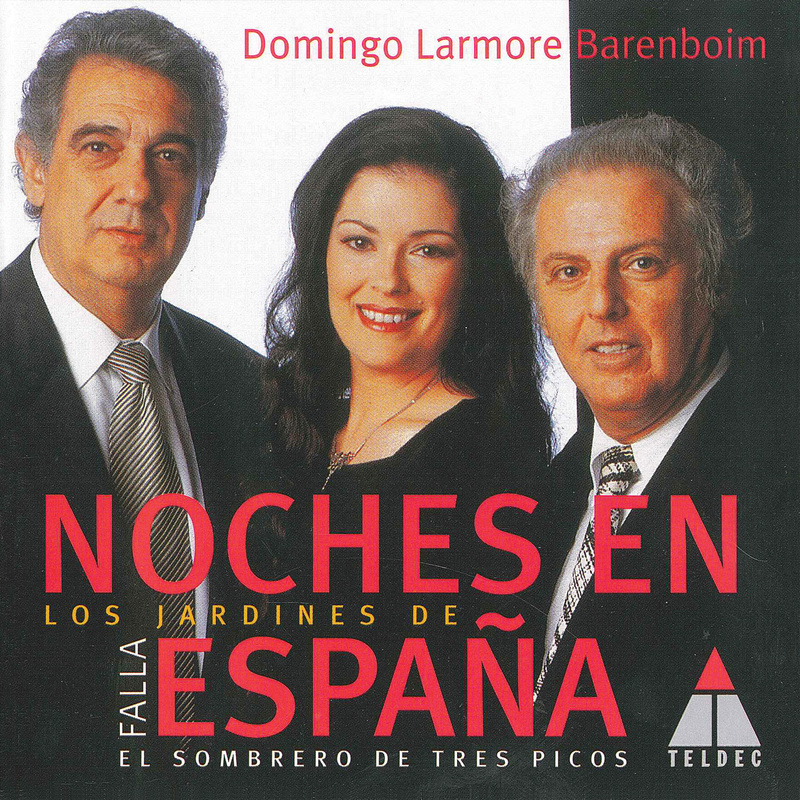 You are currently browsing the tag archive for the ‘Plácido Domingo’ tag. 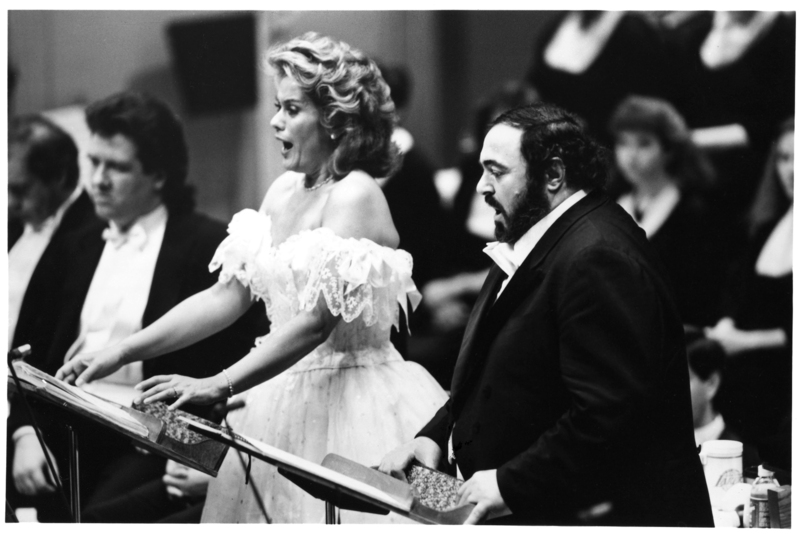 Wishing a very happy sixtieth birthday to the incomparable American soprano Renée Fleming! 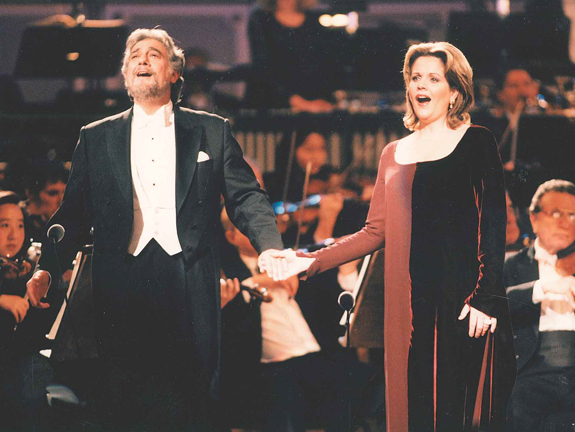 This special concert—entitled Star-Crossed Lovers—featured Fleming with Plácido Domingo in songs, arias, and duets, along with narrators Lynn Redgrave and Timothy Dalton. 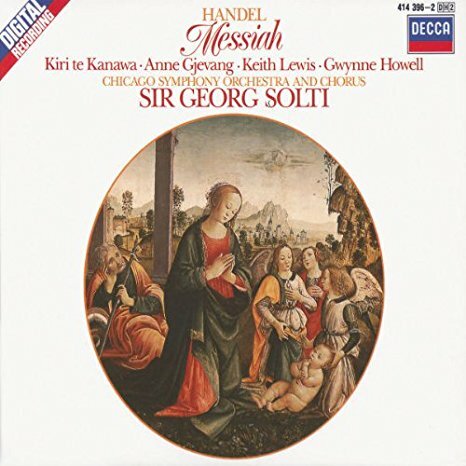 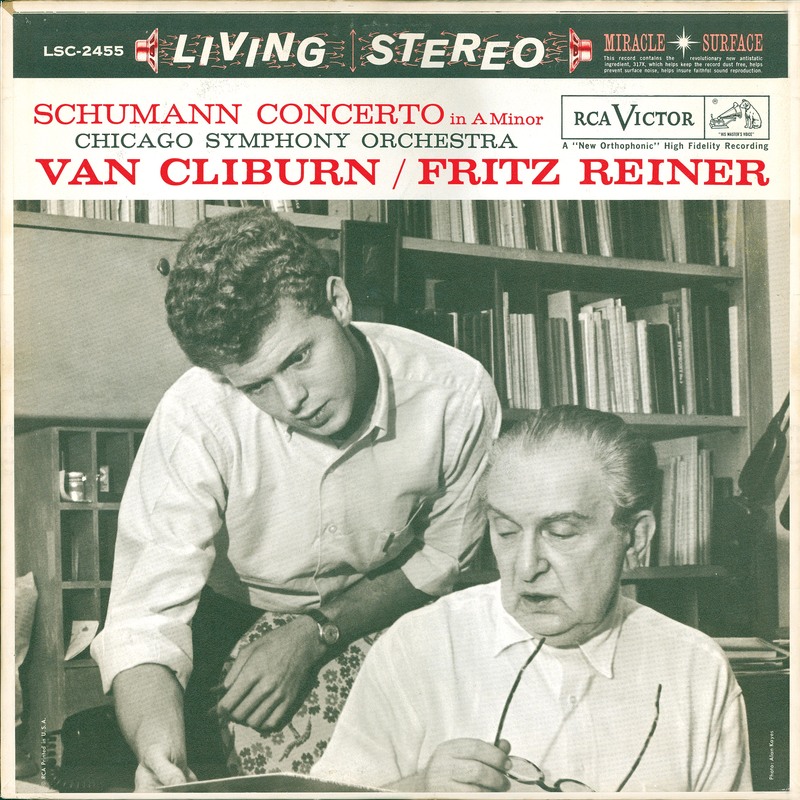 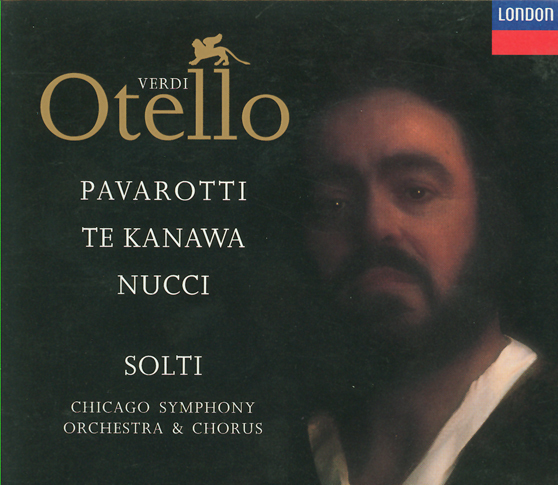 The concert was recorded for a Great Performances telecast and a London Records release. 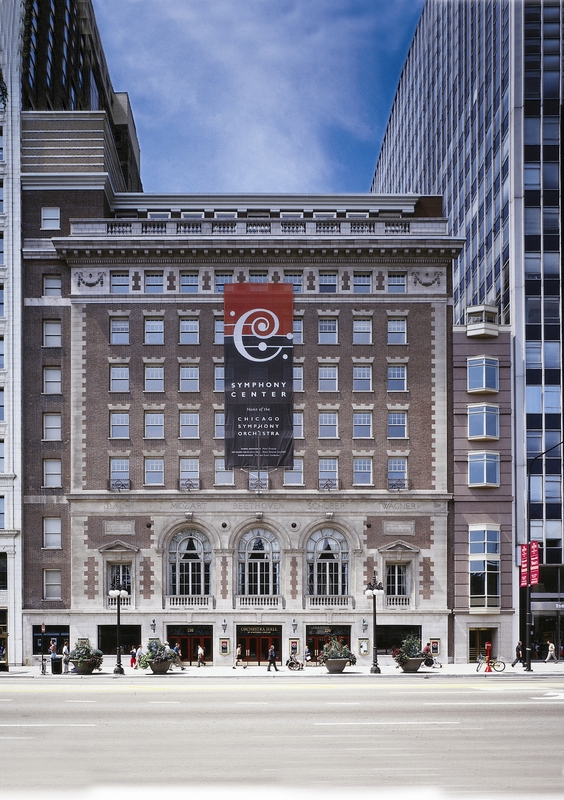 And be sure to catch Fleming with Evgeny Kissin in recital next season at Symphony Center, on Sunday, April 19, 2020! 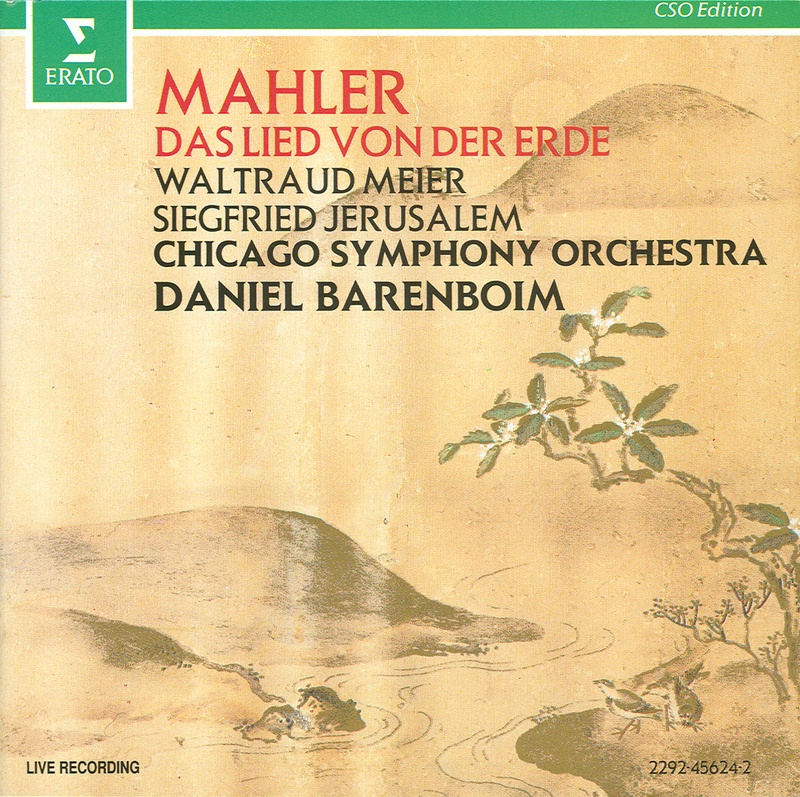 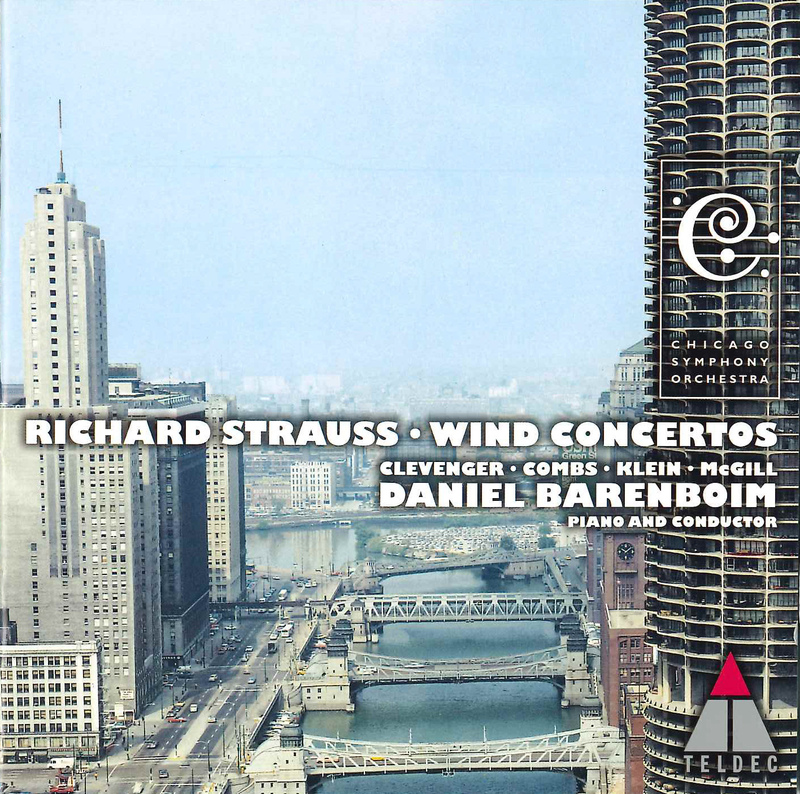 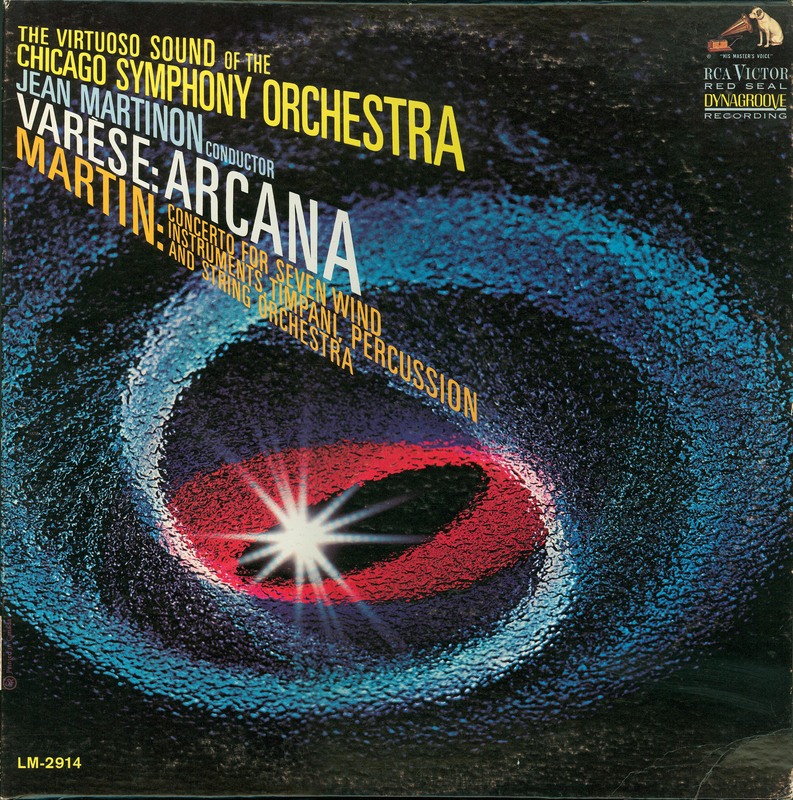 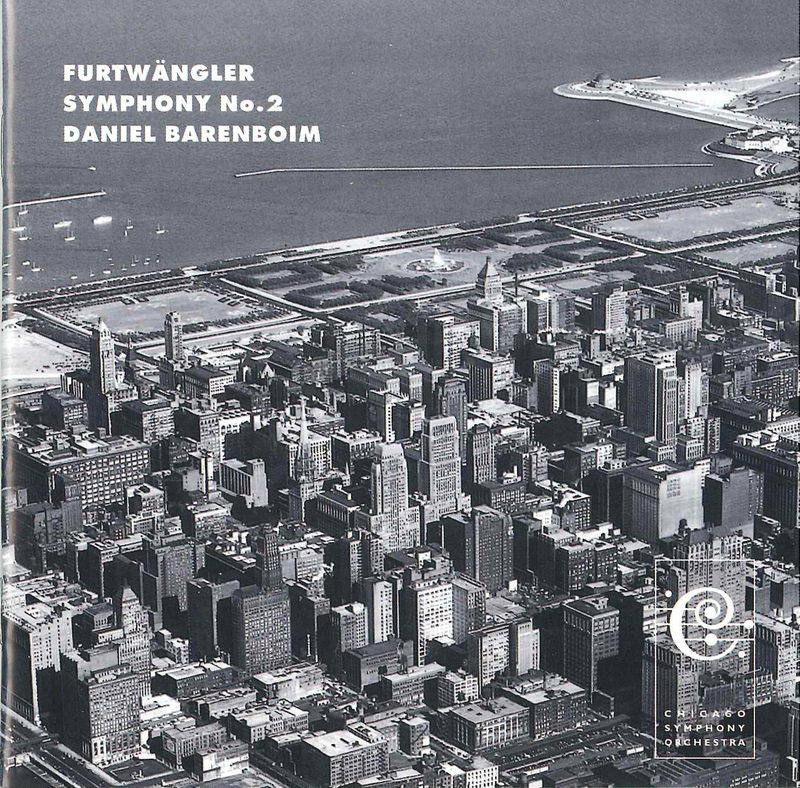 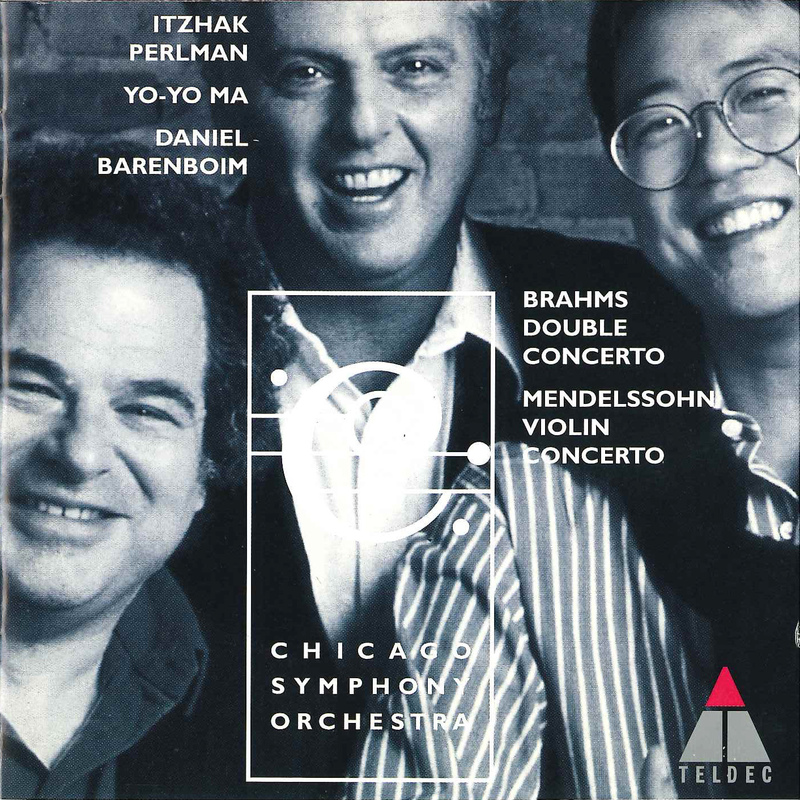 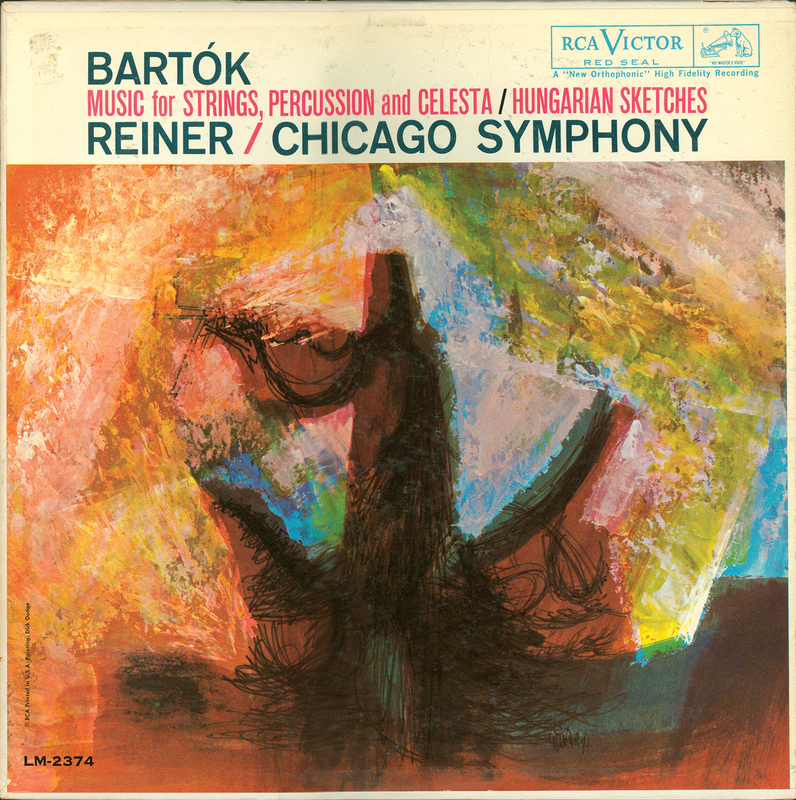 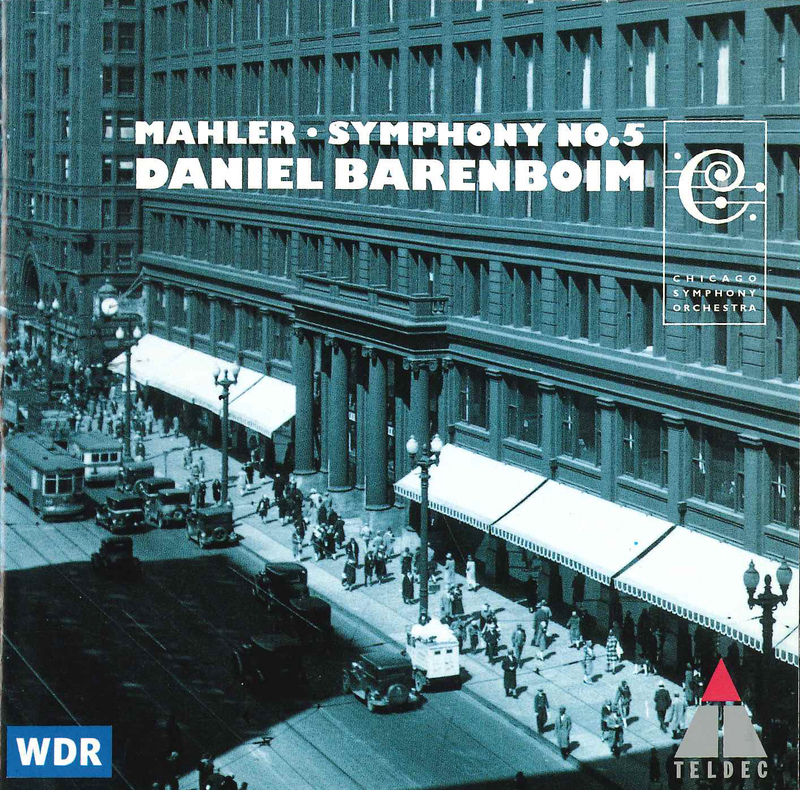 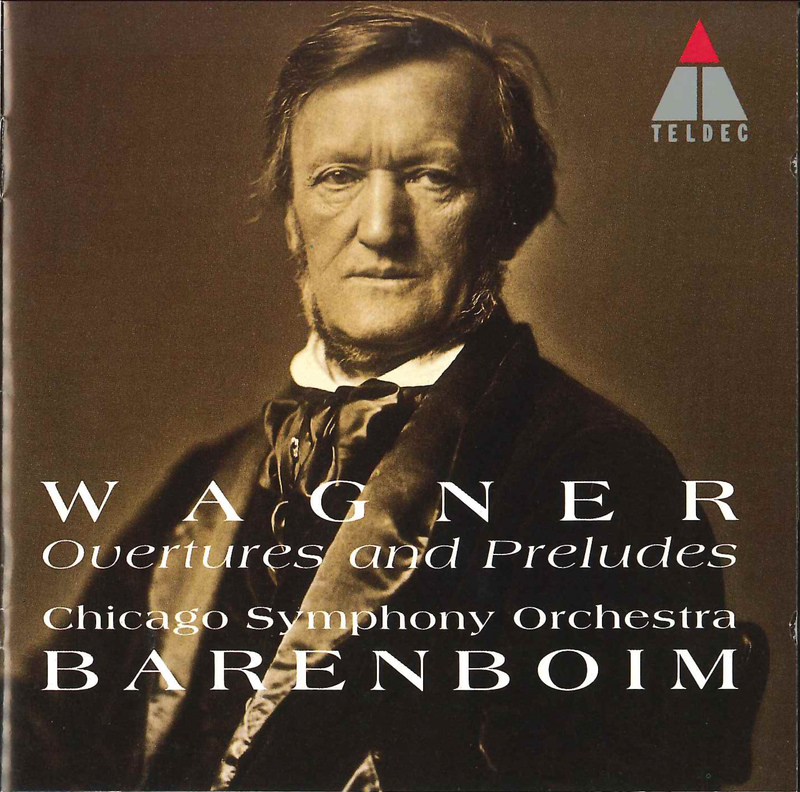 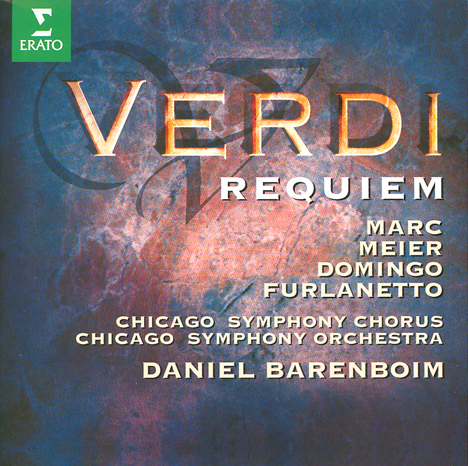 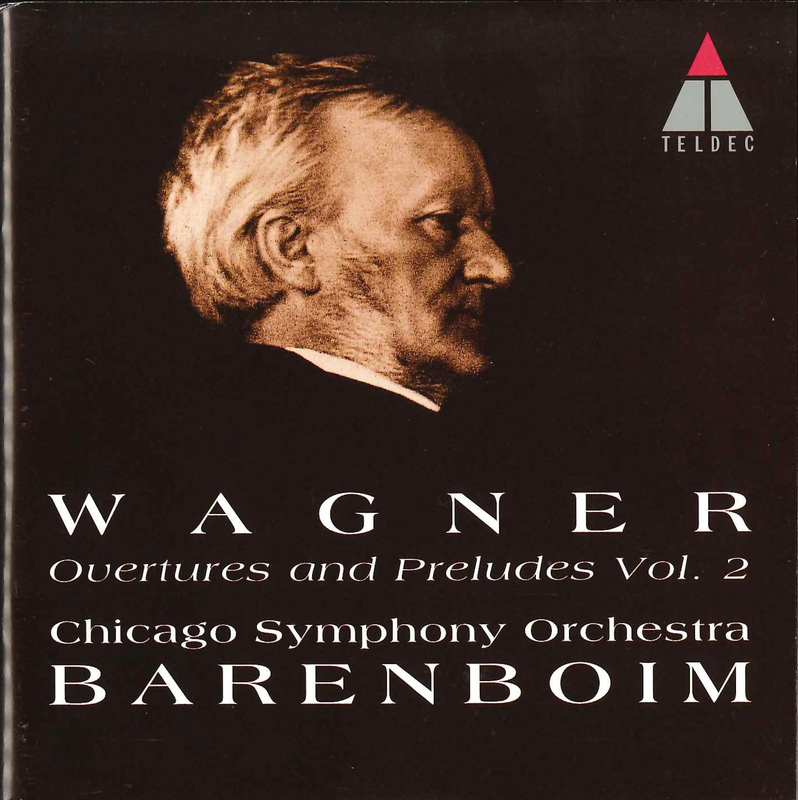 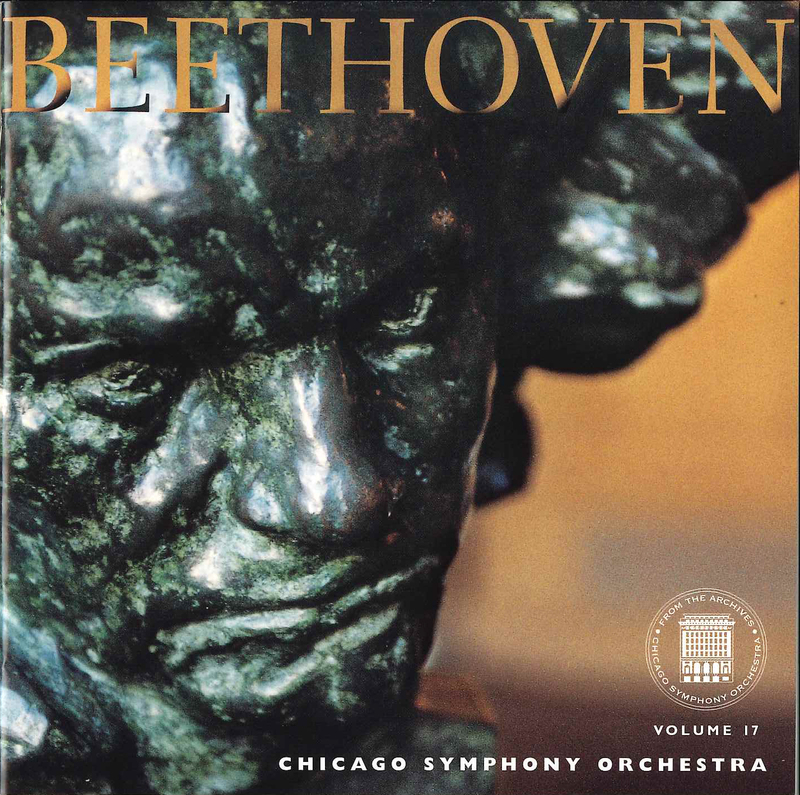 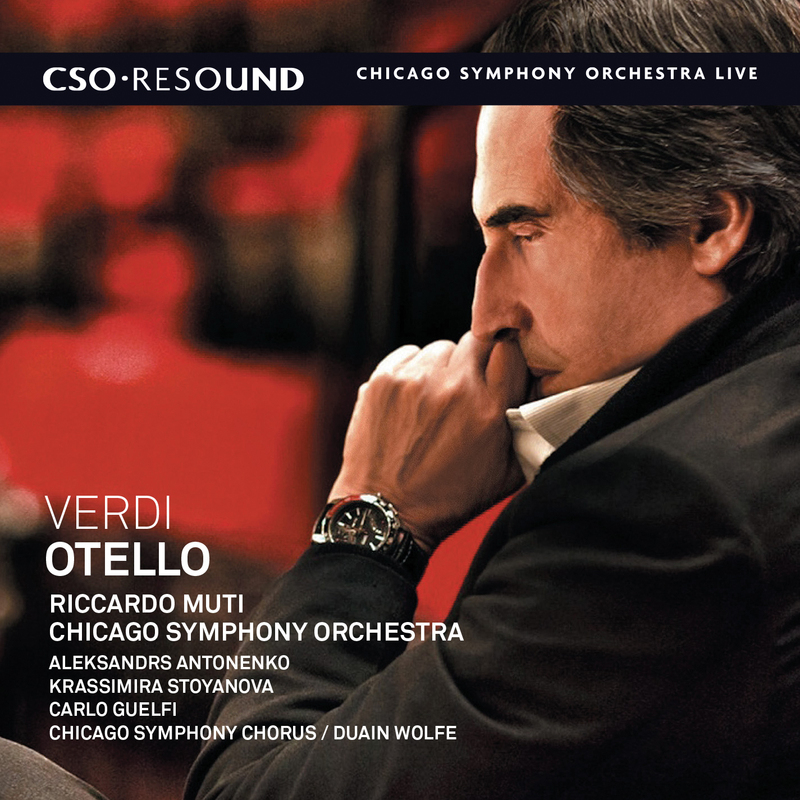 From 1993 until 2000, recordings by Daniel Barenboim and the Chicago Symphony Orchestra were recorded and released by Teldec, following the acquisition of Erato by Warner Music in 1992. 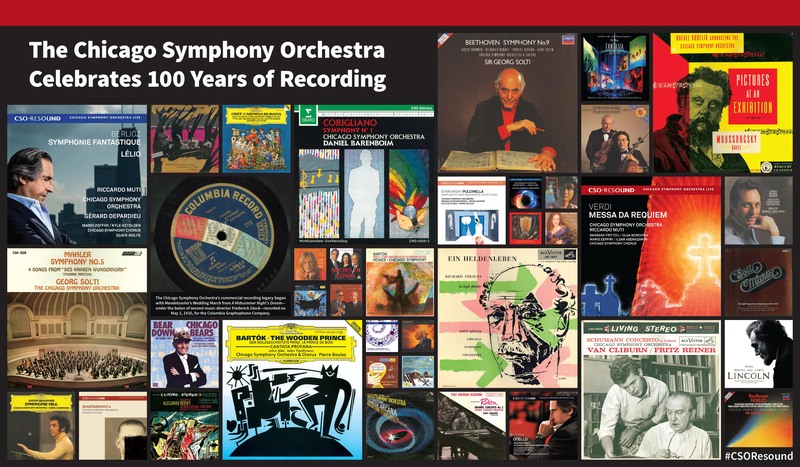 A complete list of Barenboim’s catalog with the CSO on Teldec is below (all recordings were made in Orchestra Hall, unless otherwise noted). 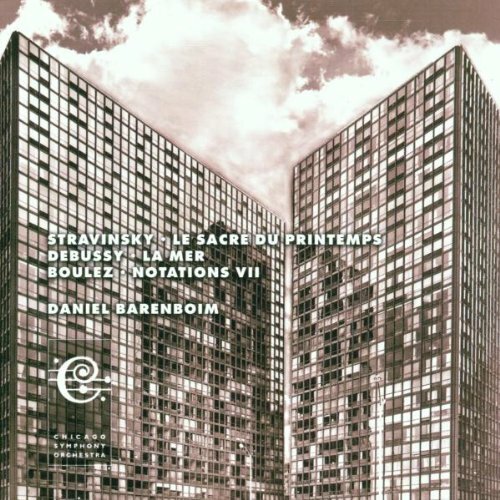 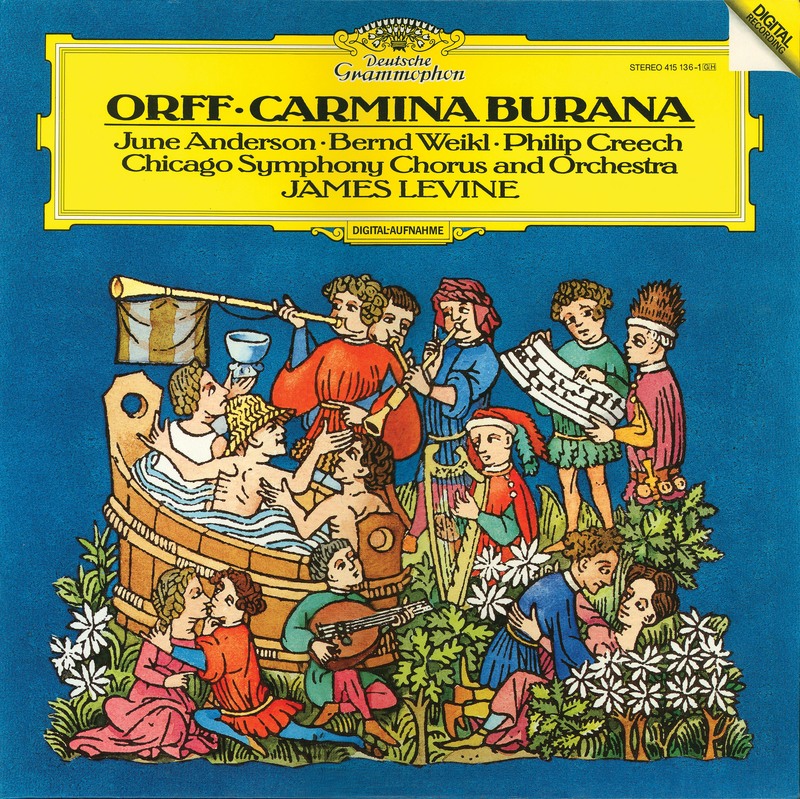 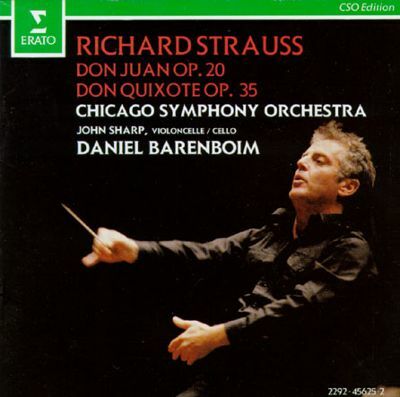 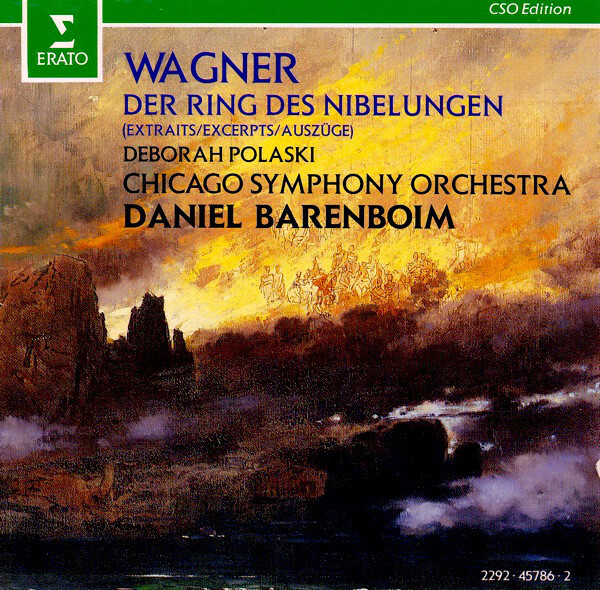 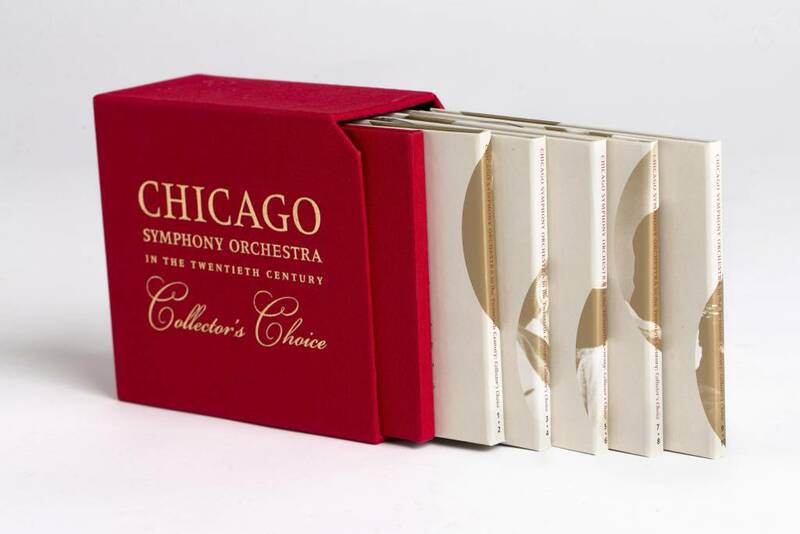 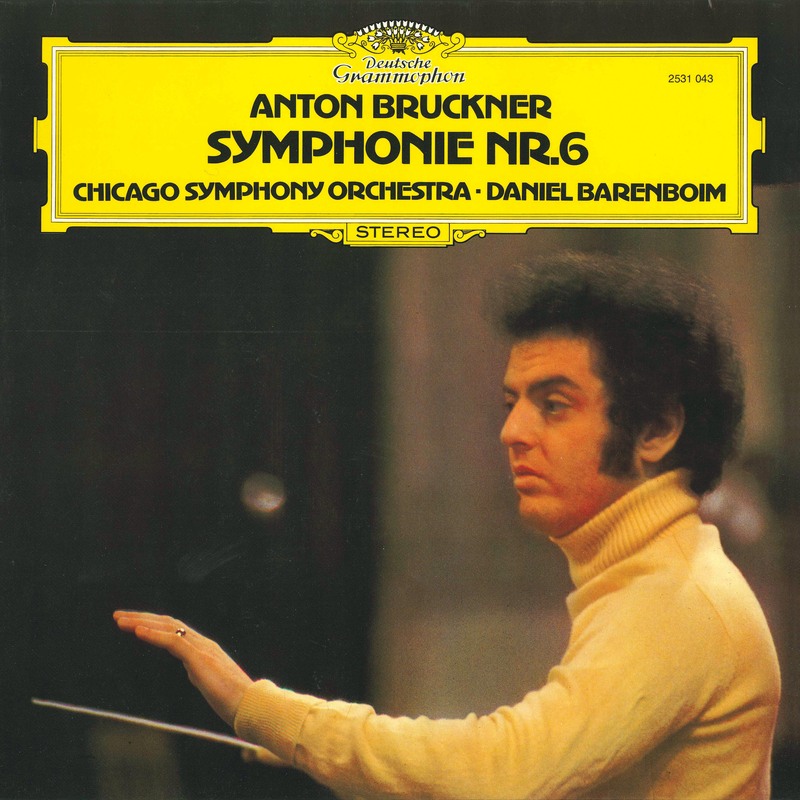 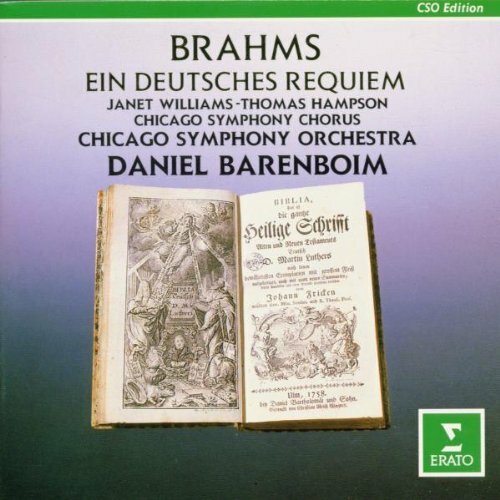 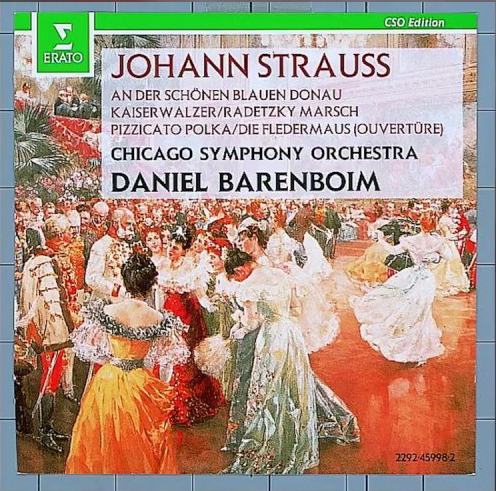 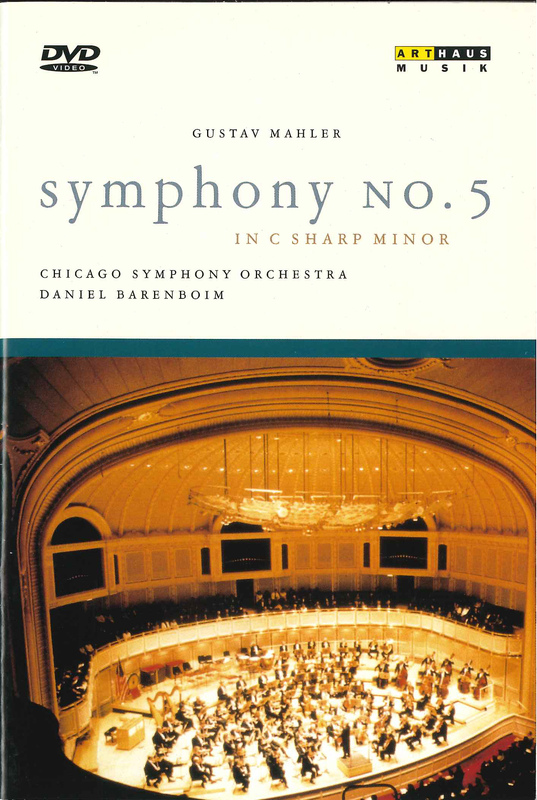 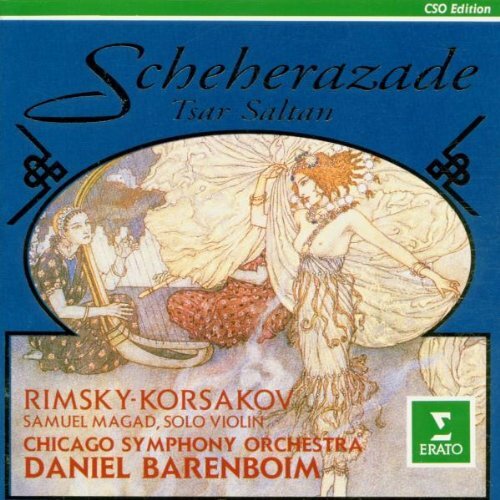 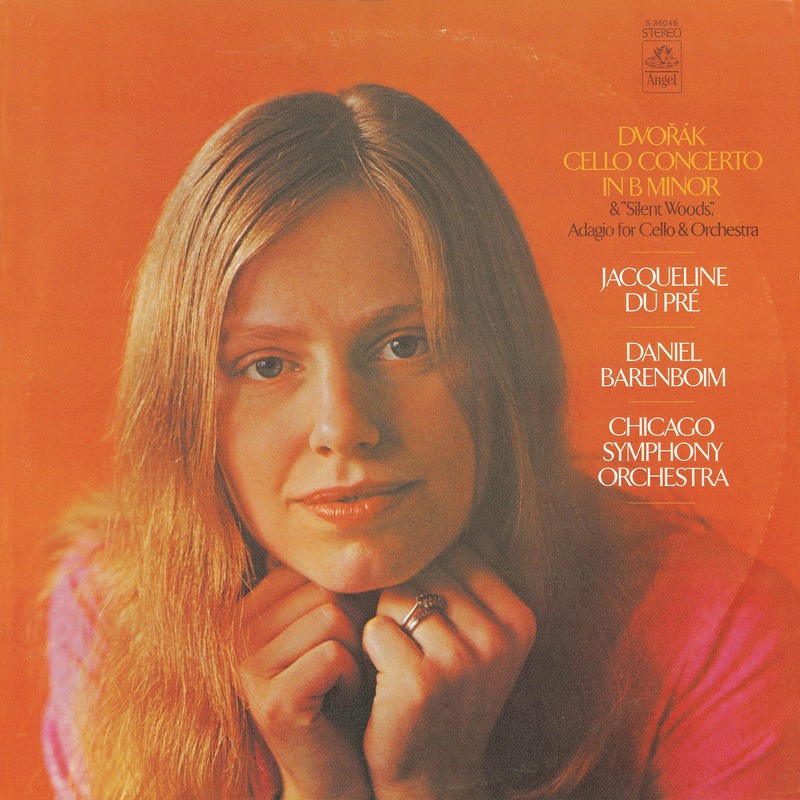 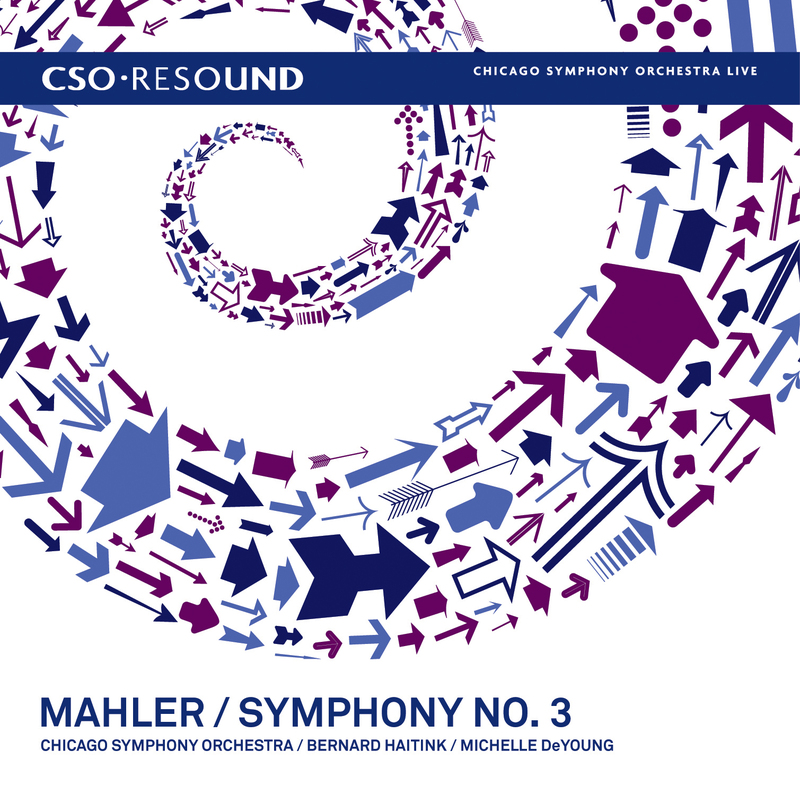 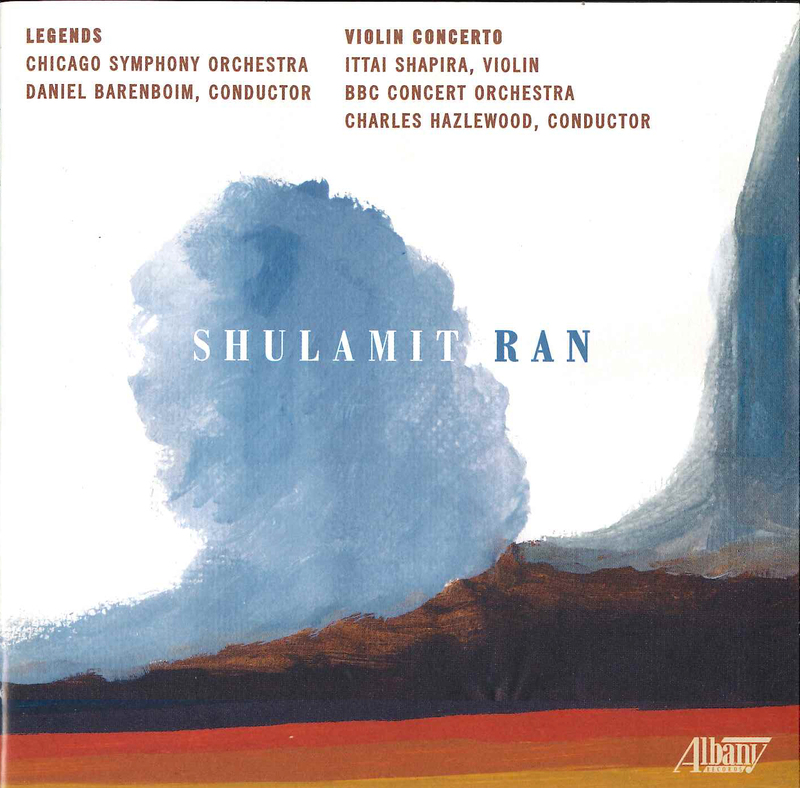 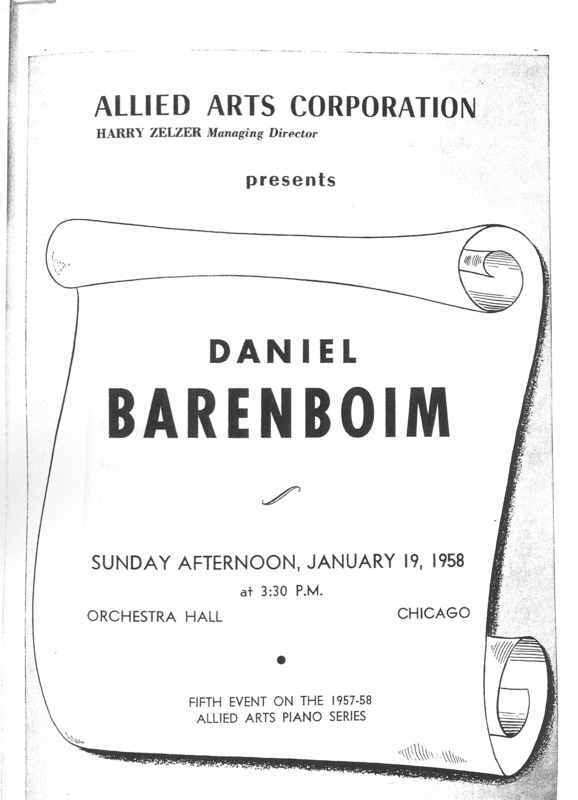 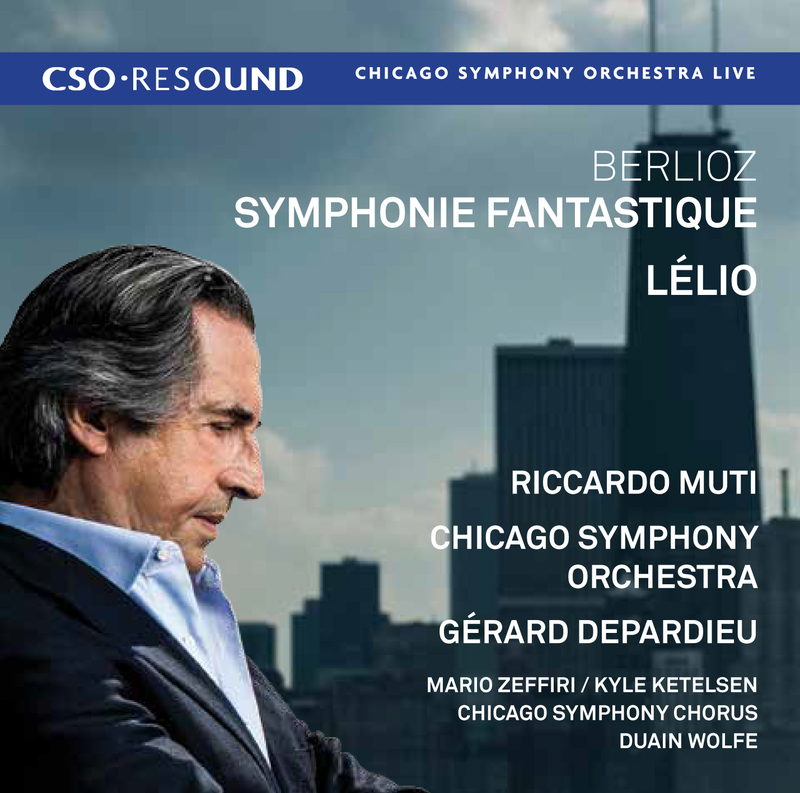 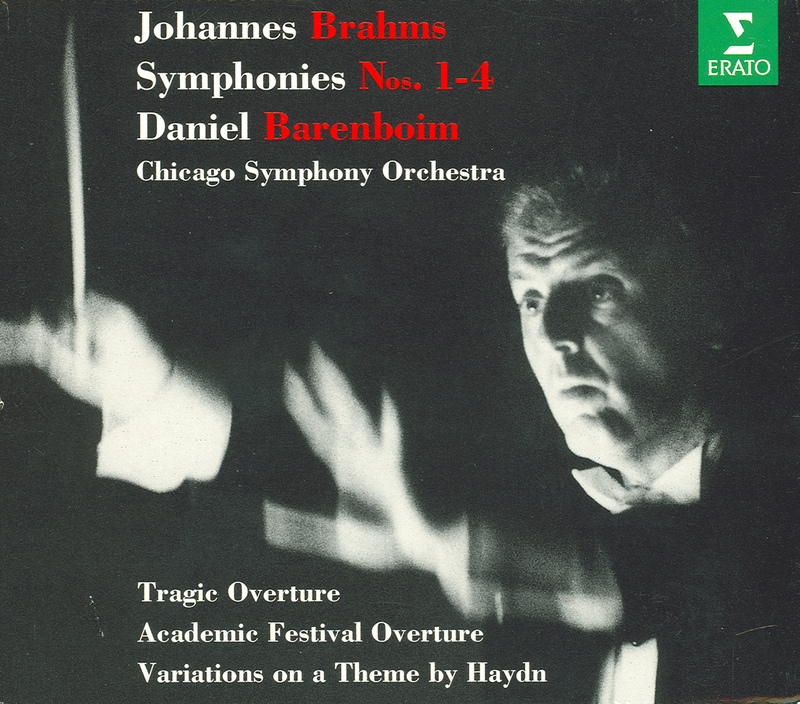 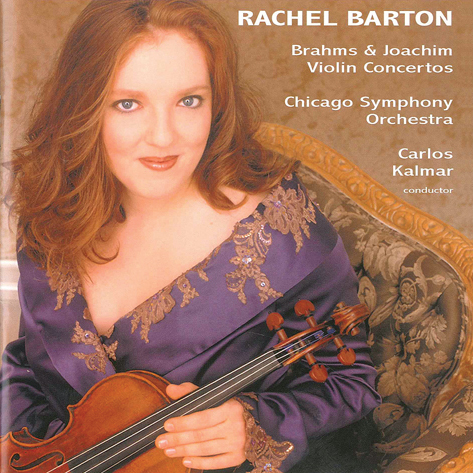 On March 15, 1990—at the beginning of an open rehearsal for donors and patrons—the Orchestral Association announced that the Chicago Symphony Orchestra under its music director designate Daniel Barenboim would record exclusively for Erato Records. 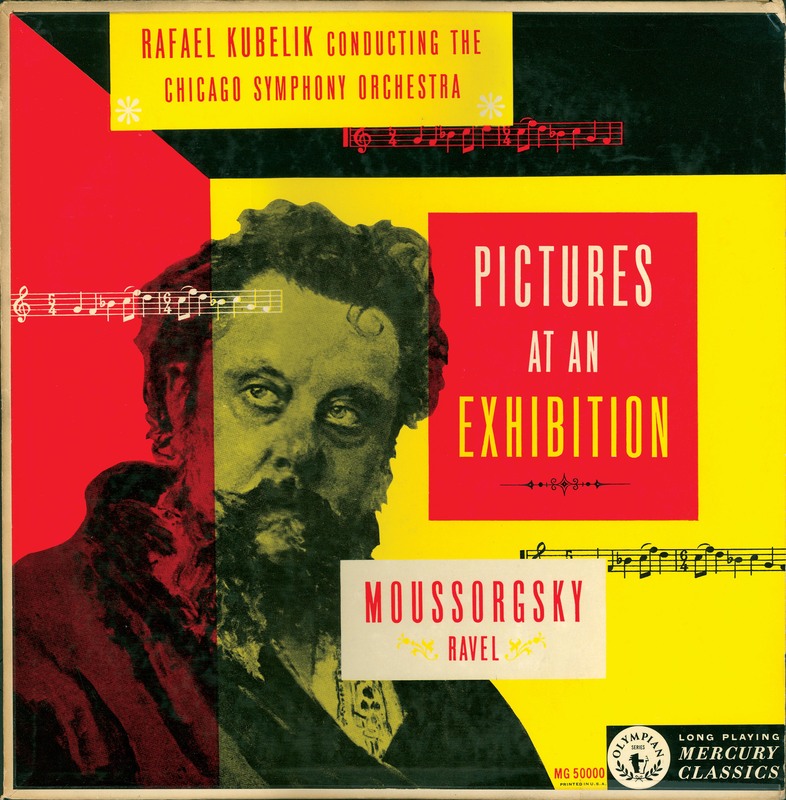 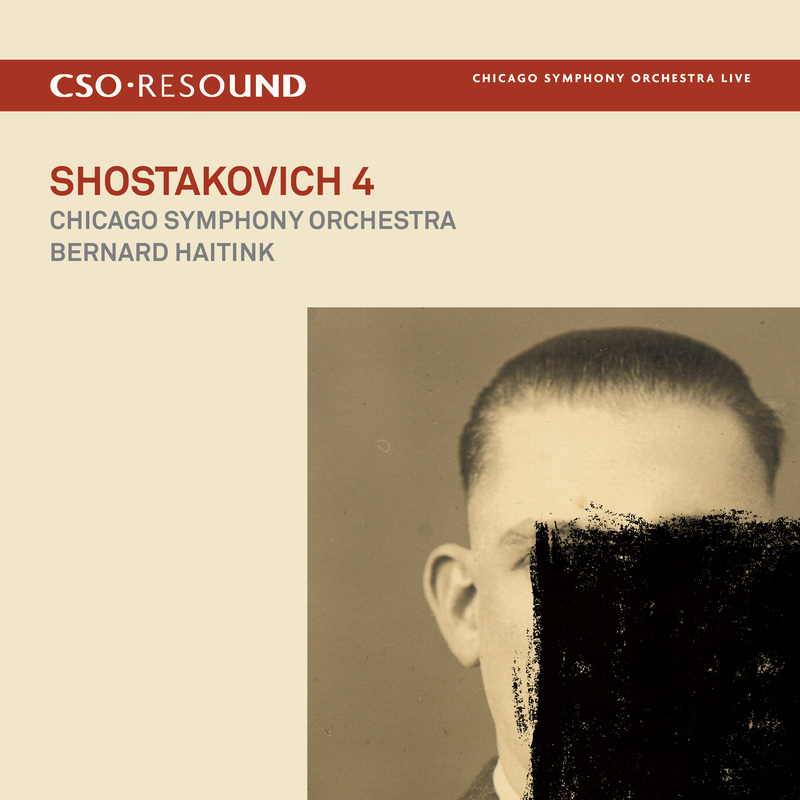 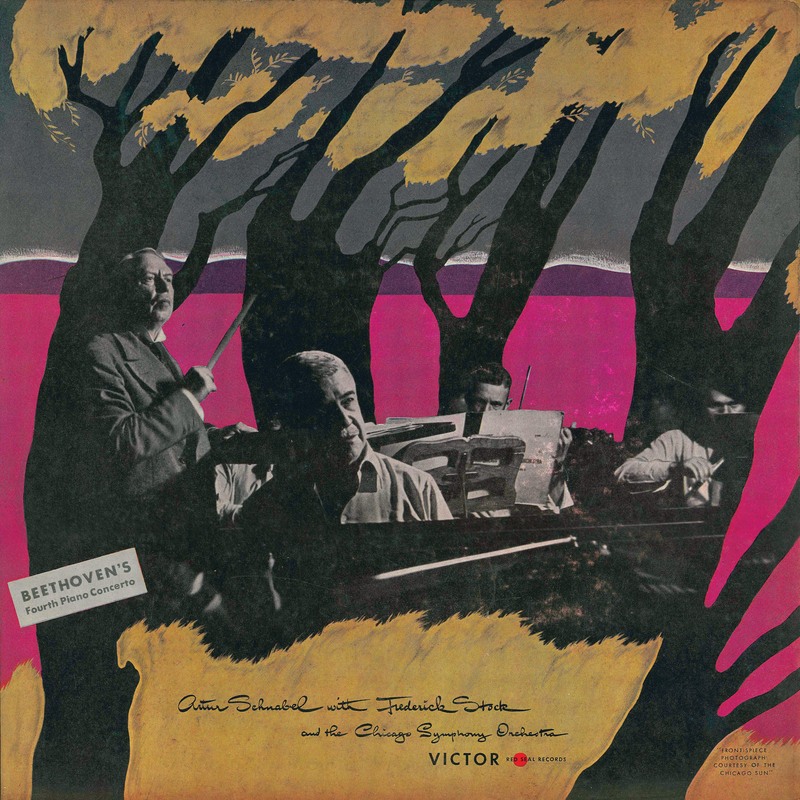 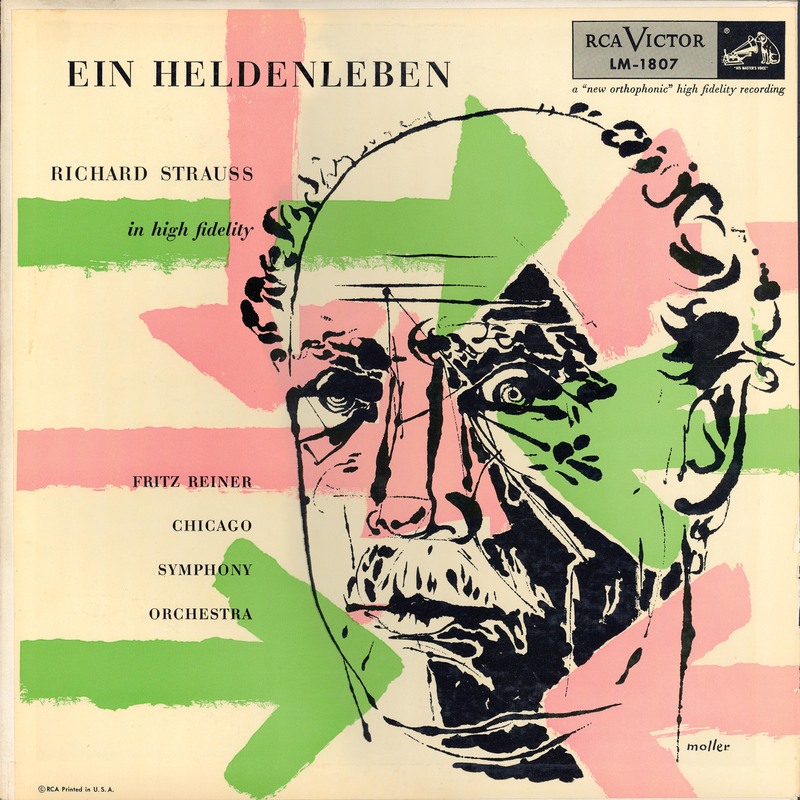 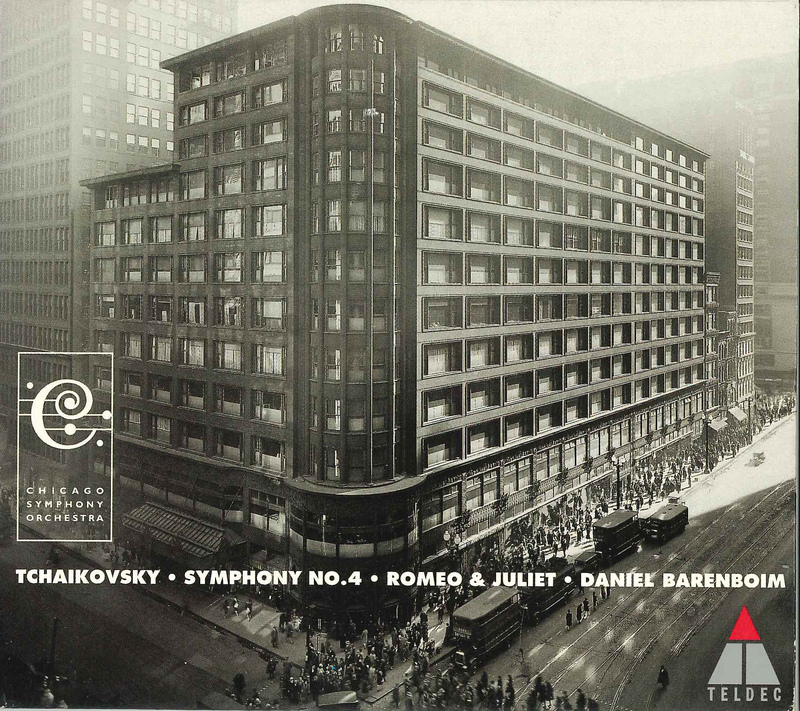 This would be the label’s first exclusive association with a major American orchestra, and it would begin with the world premiere of the Symphony no. 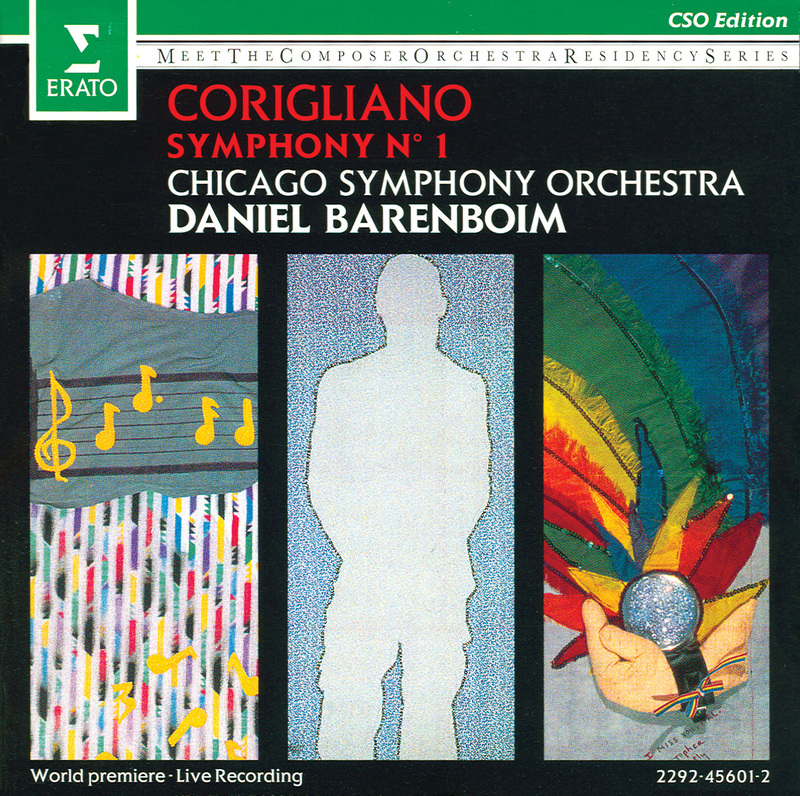 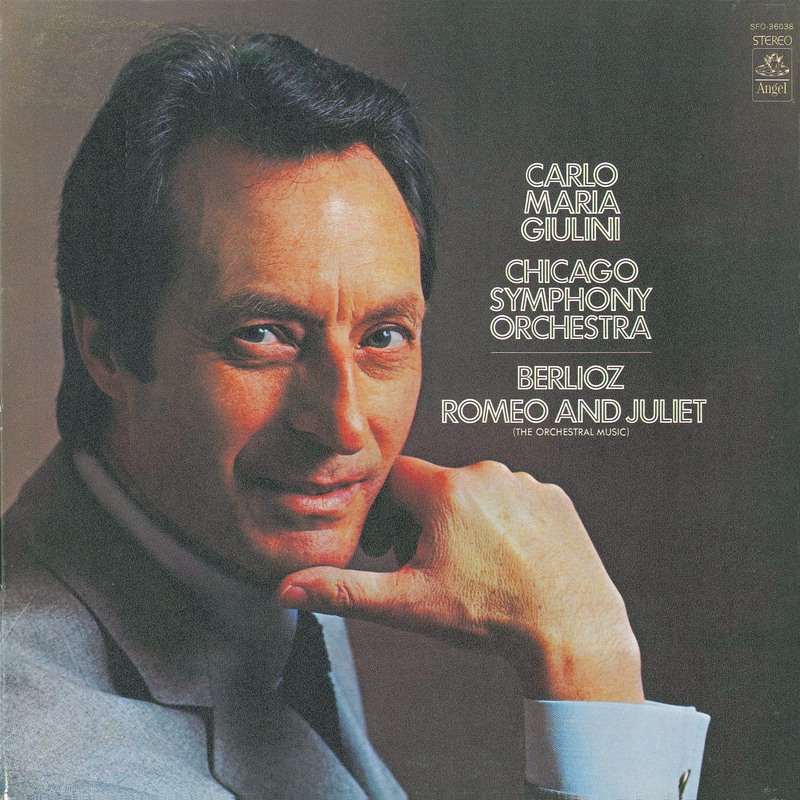 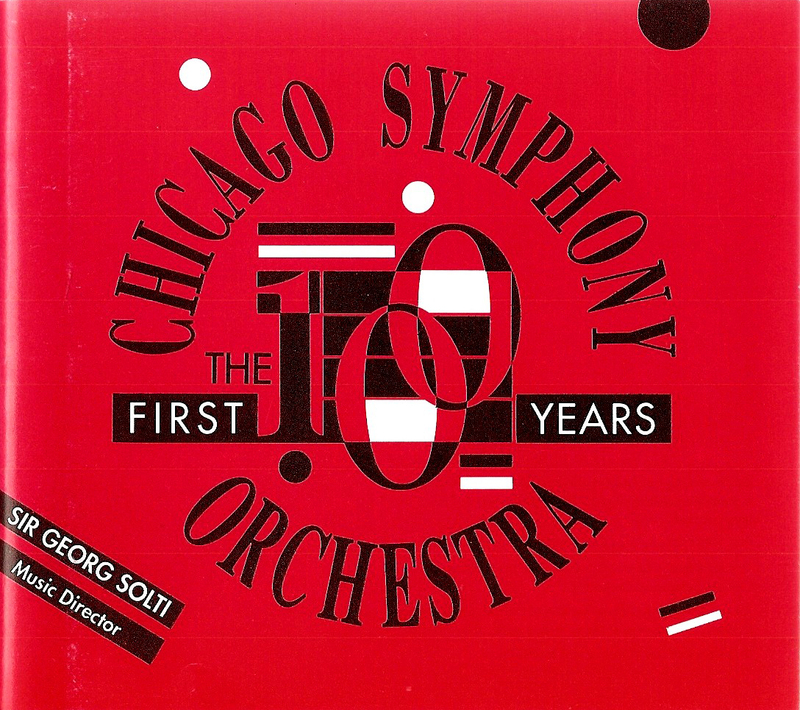 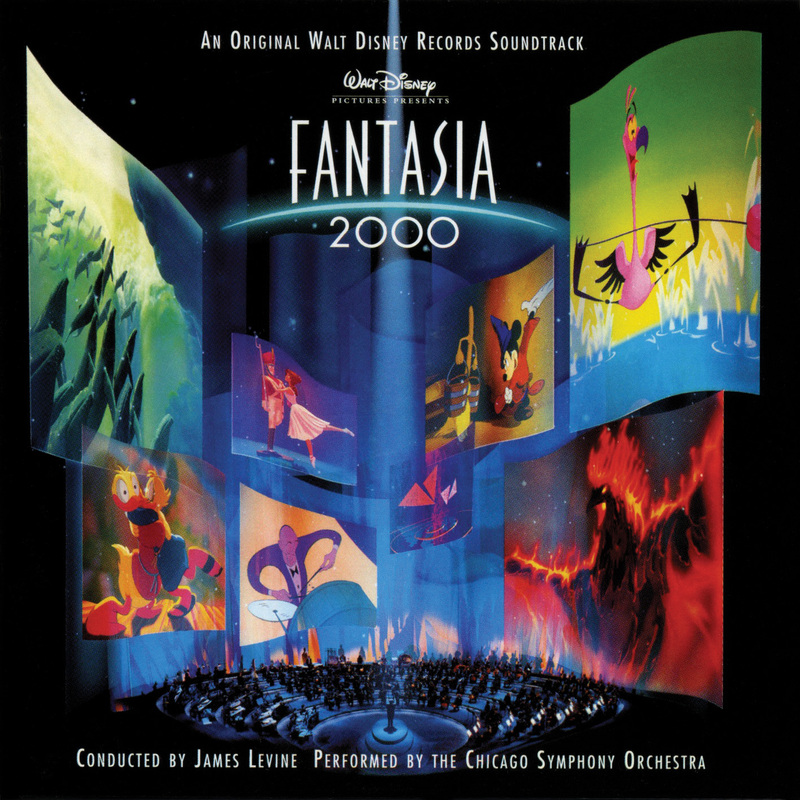 1 by John Corigliano, the Orchestra’s first composer-in-residence. 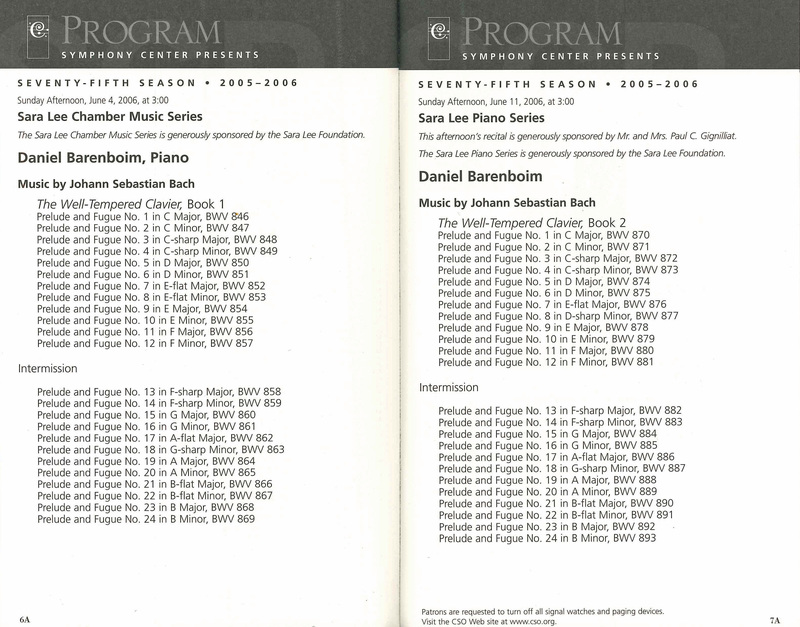 A complete list of Barenboim’s catalog with the CSO on Erato is below (all recordings were made in Orchestra Hall). 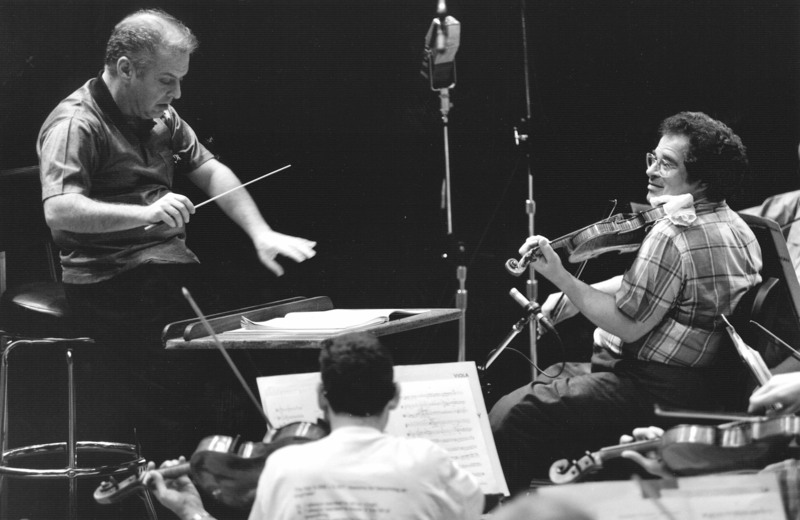 *The fifth movement was re-recorded in a studio session with Williams as soloist on January 16, 1993. 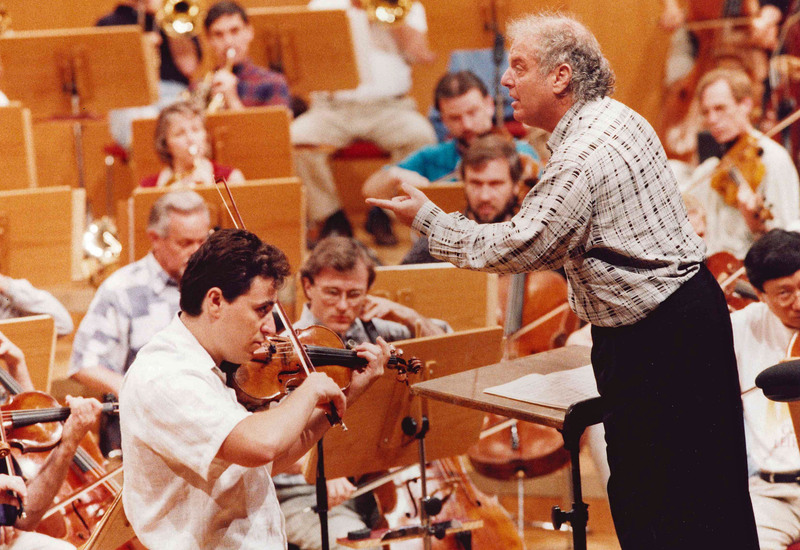 For the Chicago Symphony Orchestra’s twelfth tour to Europe, Daniel Barenboim led three concerts at the Philharmonie in Berlin, in conjunction with the 1996 Easter Festival (Festtage). 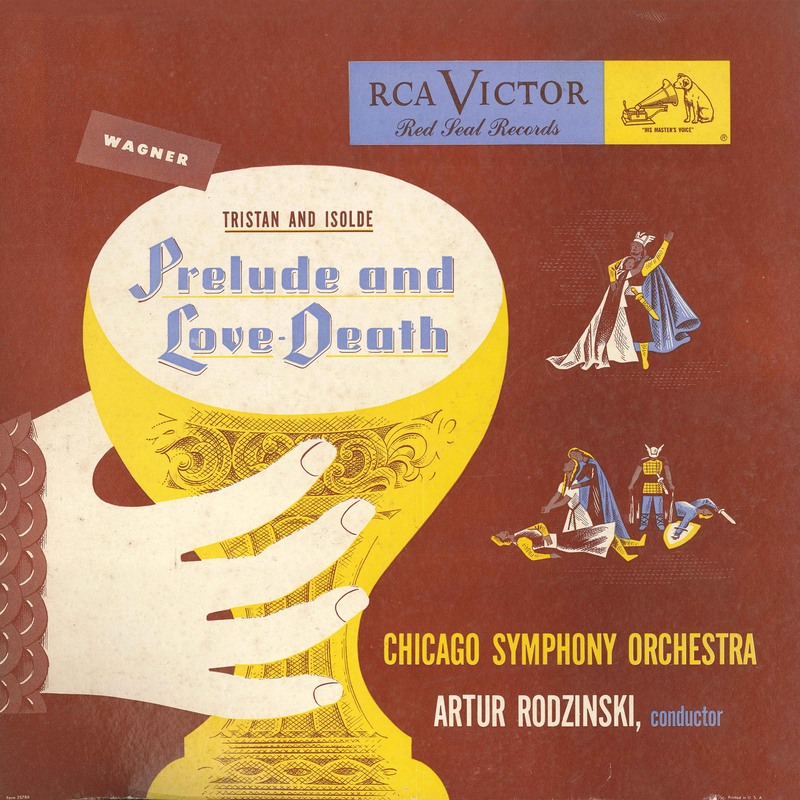 *Argerich originally was scheduled to perform Liszt’s Totentanz, but she canceled due to illness. 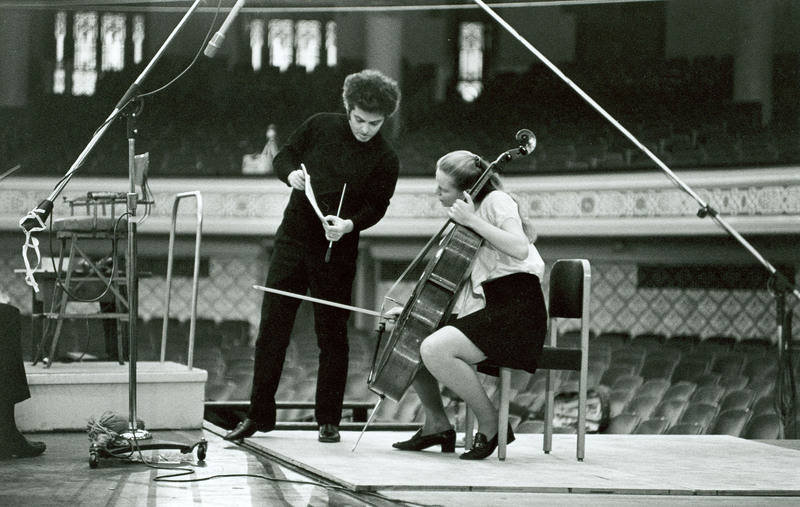 Barenboim and the Orchestra returned to Europe later that same year, for a five-concert tour to England and Ireland. 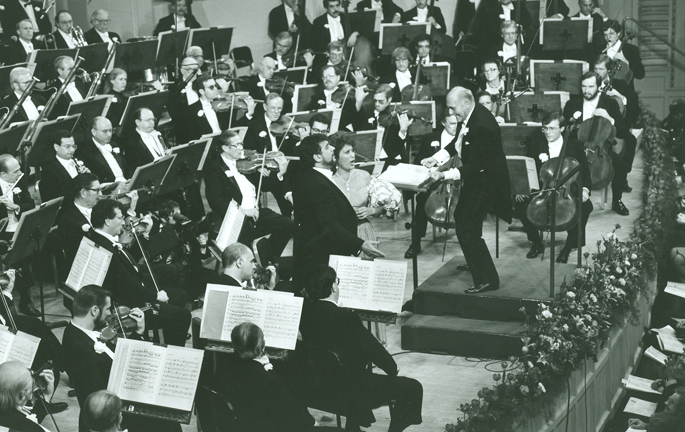 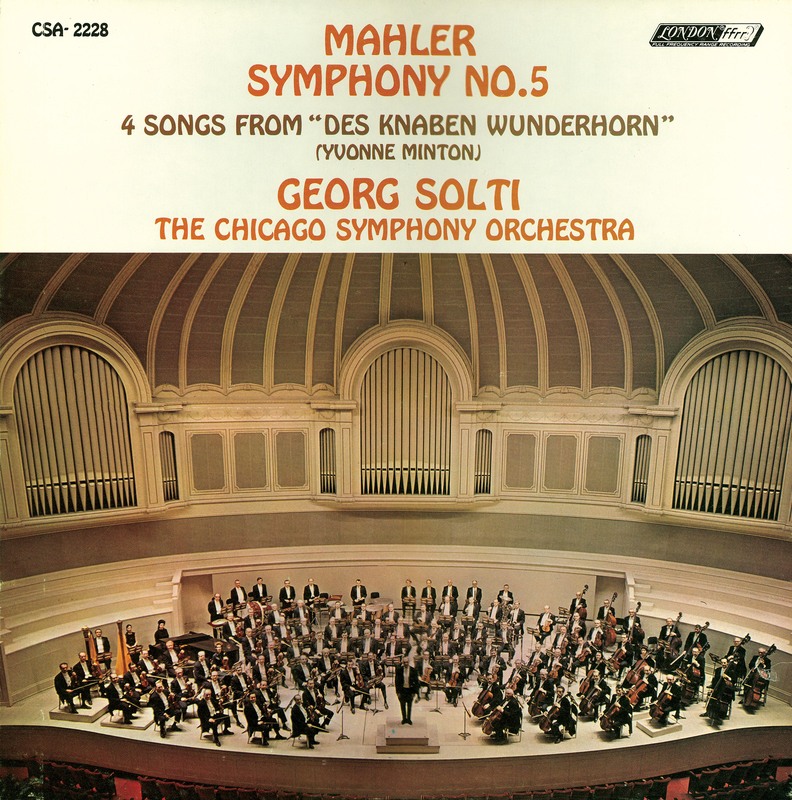 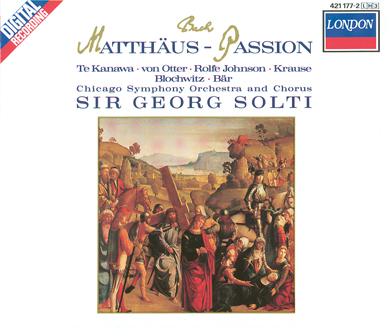 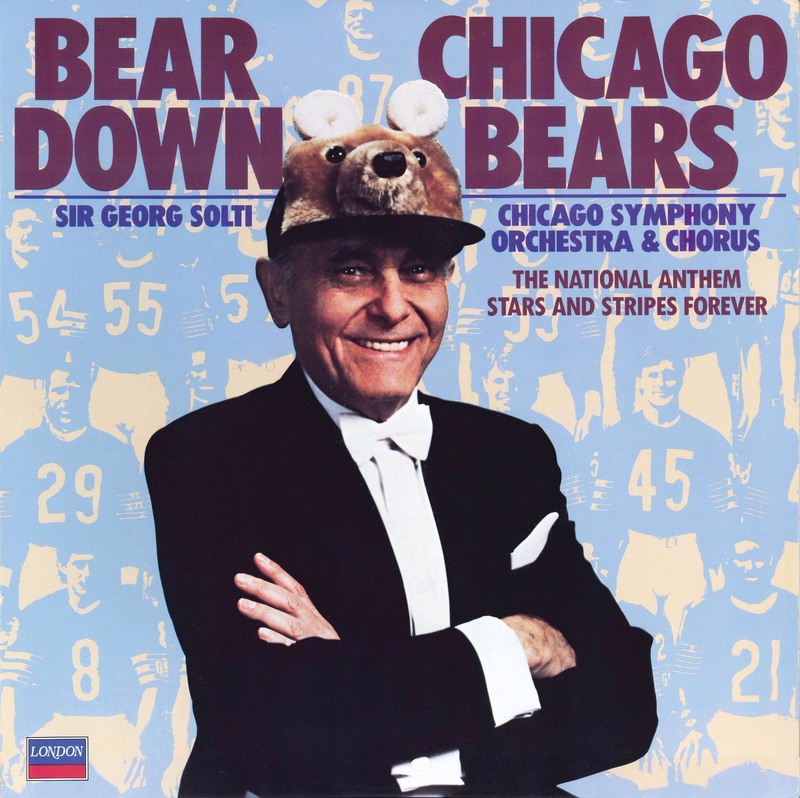 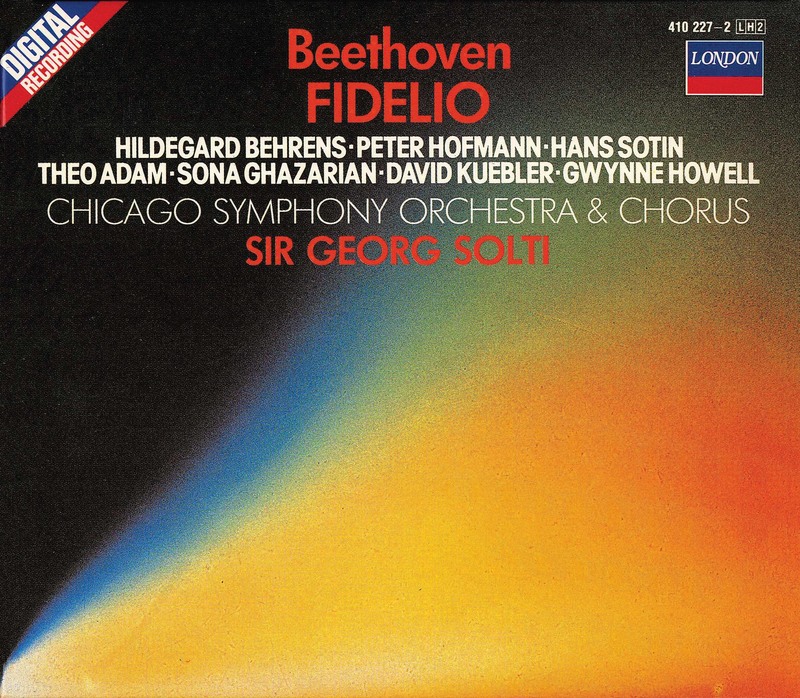 Sir Georg Solti led the fourth concert of the tour on September 13—Beethoven’s Ninth Symphony as part of at The Proms. 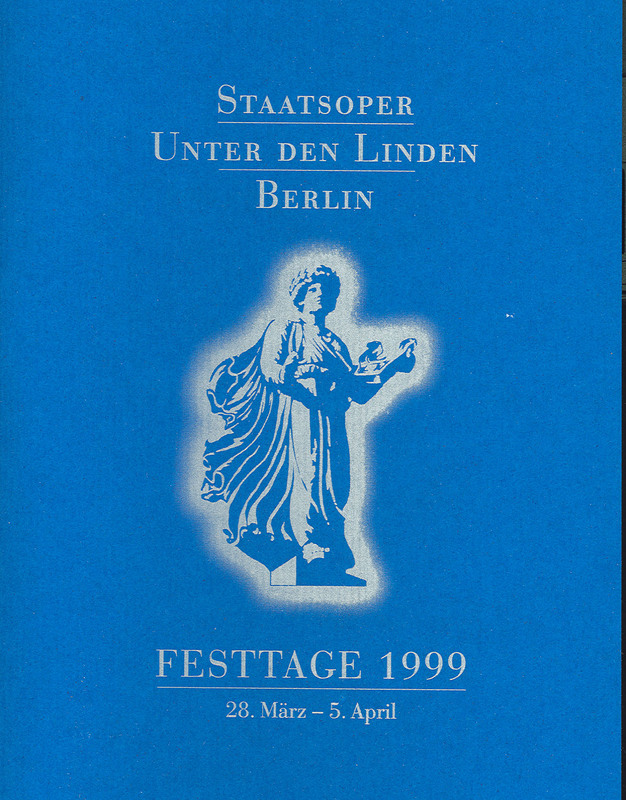 The Orchestra’s fourteenth European tour included stops in Germany and France, with three Festtage concerts in Berlin. 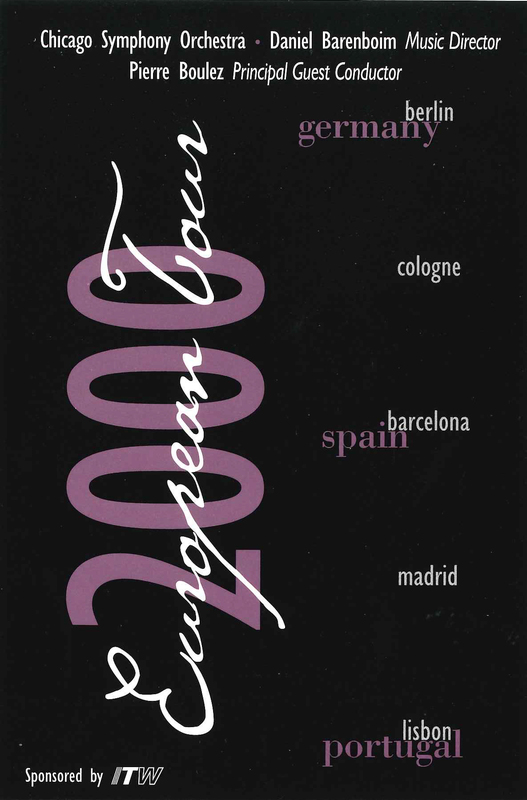 The second trip to Europe in 1998 featured stops in England, Switzerland, Belgium, Germany, Austria, and the Orchestra’s first appearances in Romania. 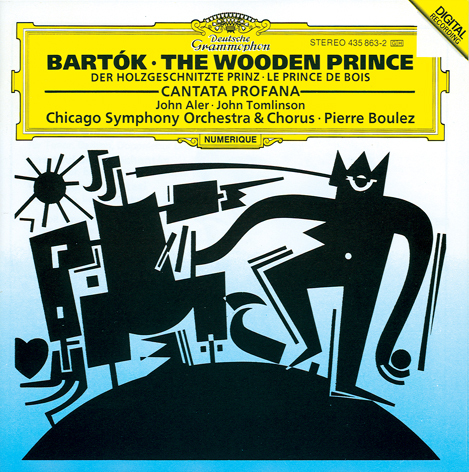 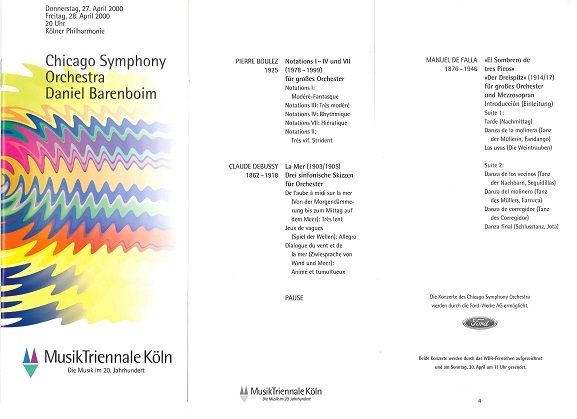 For the 1999 Festtage , Barenboim invited the Chicago Symphony Chorus to join the Orchestra for two concerts in Berlin, including Pierre Boulez leading Schoenberg’s Moses und Aron on April 1. 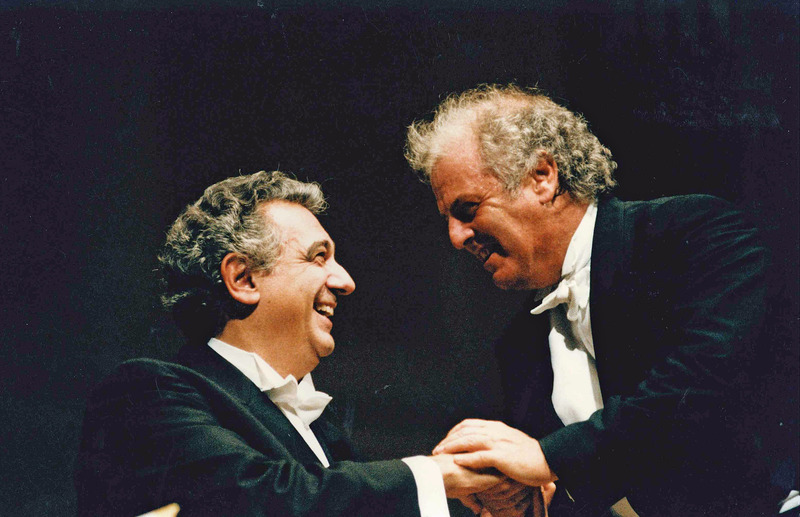 The Orchestra’s eighteenth European tour included Barenboim leading concerts in Germany, Spain, and Portugal, with Boulez taking the reins for two concerts in Cologne. 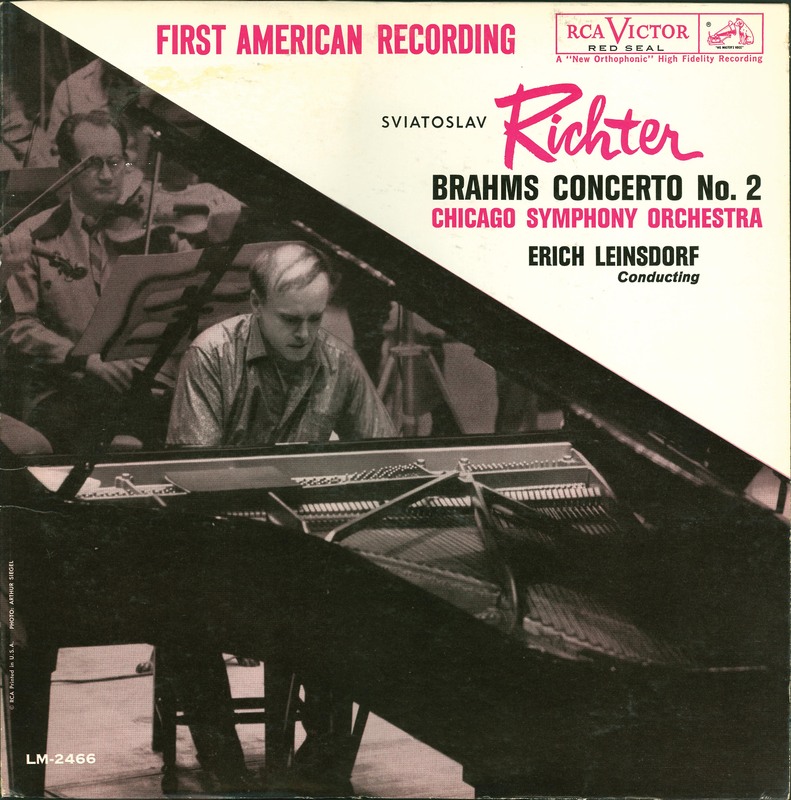 He returned in November of that year and again every couple of years after that for more solo piano recitals, including—over the course of a month between February 26 and March 27, 1986—a series of eight concerts, traversing Beethoven’s complete cycle of piano sonatas. 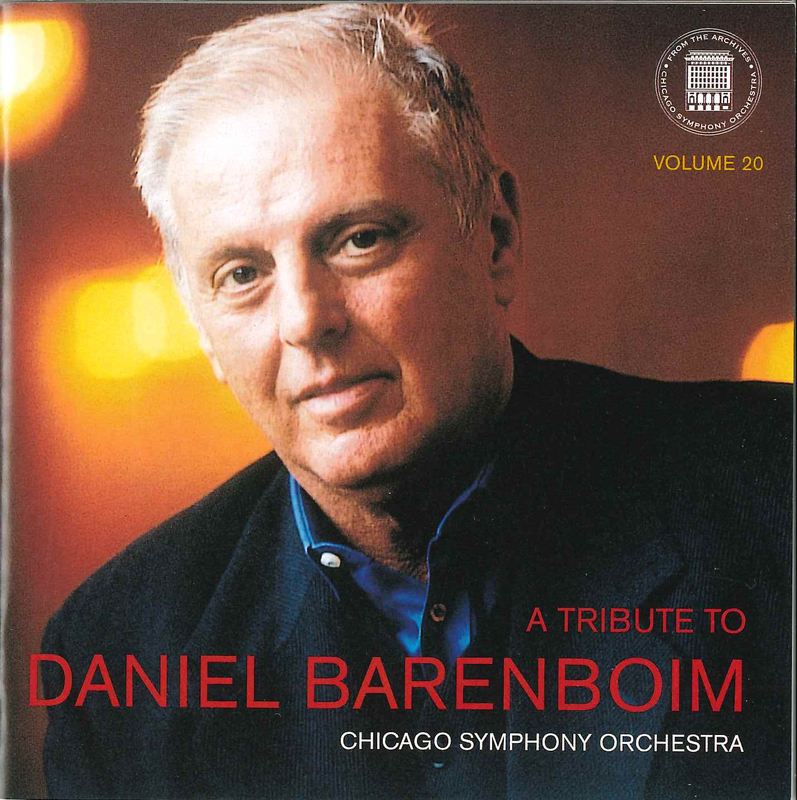 After becoming the Chicago Symphony Orchestra’s ninth music director in September 1991, Barenboim made regular appearances as piano recitalist and chamber musician, collaborating with an extraordinary roster of instrumentalists and singers. 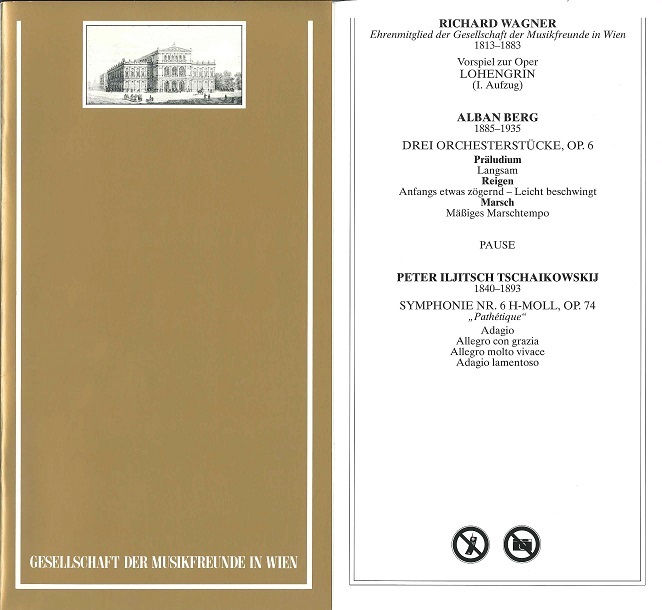 He performed a dizzying array of repertoire, including Albéniz’s Iberia; Bach’s Goldberg Variations; Bartók’s Sonata for Two Pianos and Percussion; Beethoven’s Diabelli Variations; Berg’s Chamber Concerto for Piano, Violin, and Thirteen Wind Instruments (with Pierre Boulez conducting); Brahms’s cello sonatas; Mahler’s Des Knaben Wunderhorn, Songs of a Wayfarer, and Rückert Lieder; Messiaen’s Quartet for the End of Time; Mozart’s complete violin sonatas; Schubert’s Winterreise; Schumann’s Frauenliebe und -leben; Wagner’s Siegfried Idyll and Wesendonk Lieder; and Wolf’s Italian Songbook; along with other piano works by Chopin, Debussy, Liszt, Schoenberg, and Schubert, among others. 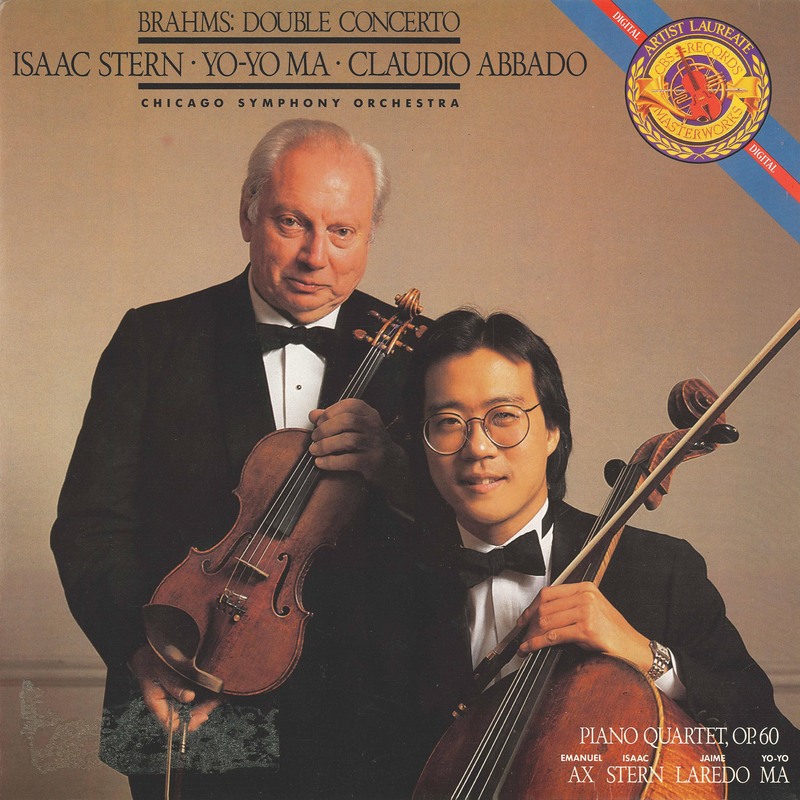 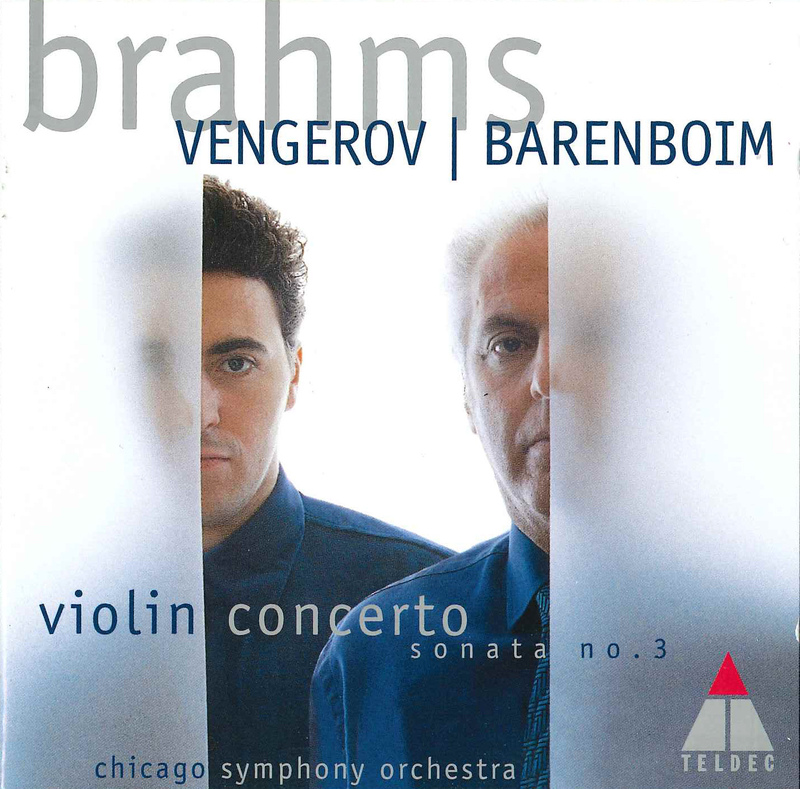 Barenboim’s collaborators included instrumentalists Héctor Console, Lang Lang, Radu Lupu, Yo-Yo Ma, Rodolfo Mederos, Itzhak Perlman, András Schiff, Deborah Sobol, Maxim Vengerov, and Pinchas Zukerman, along with singers Kathleen Battle, Cecilia Bartoli, Angela Denoke, Plácido Domingo, Thomas Hampson, Robert Holl, Waltraud Meier, Thomas Quasthoff, Peter Schreier, and Bo Skovhus. 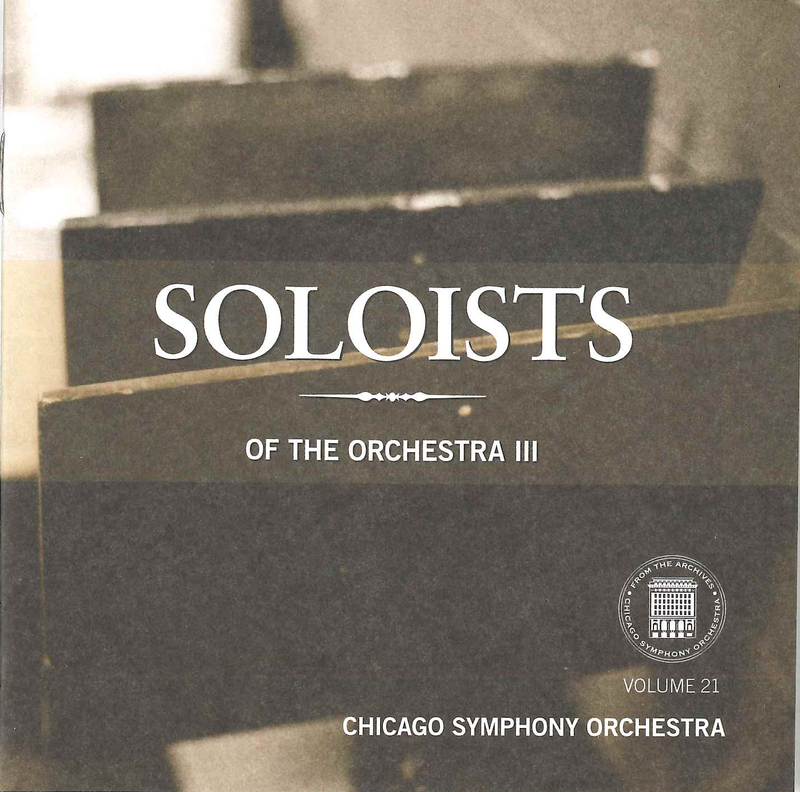 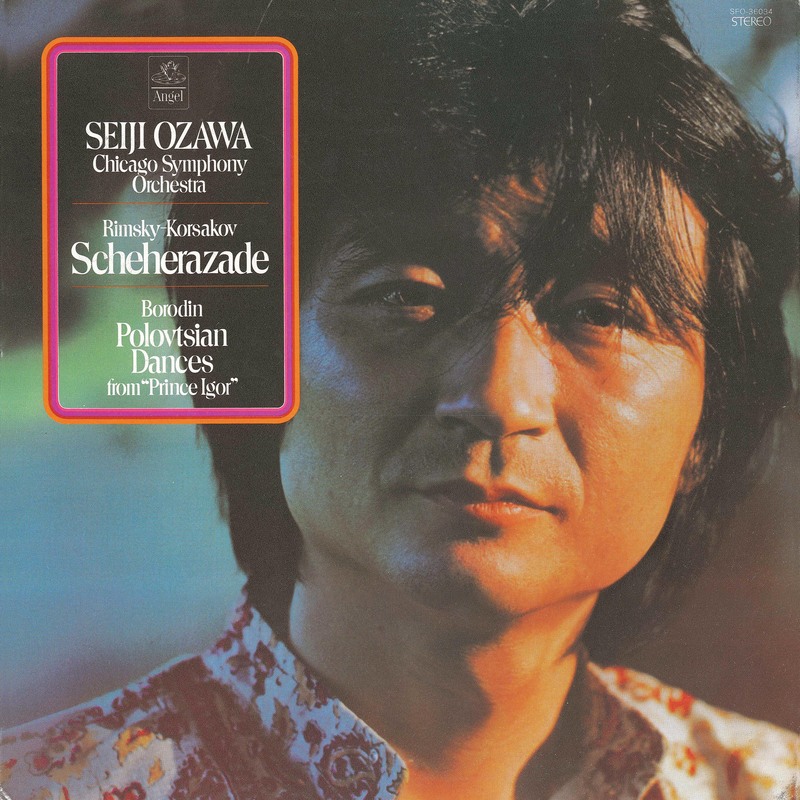 He also invited countless members of the Orchestra to join him, including Stephen Balderston, Li-Kuo Chang, Robert Chen, Dale Clevenger, Larry Combs, Louise Dixon, Edward Druzinsky, Jay Friedman, Rubén González, Richard Graef, Joseph Guastafeste, John Hagstrom, Adolph Herseth, Richard Hirschl, Alex Klein, Donald Koss, Burl Lane, Samuel Magad, David McGill, Michael Mulcahy, Lawrence Neuman, Bradley Opland, Nancy Park, Donald Peck, Gene Pokorny, Mark Ridenour, James Ross, Norman Schweikert, John Sharp, Gregory Smith, Charles Vernon, Gail Williams, and members of the Chicago Symphony Chorus (prepared by Duain Wolfe), among many others. 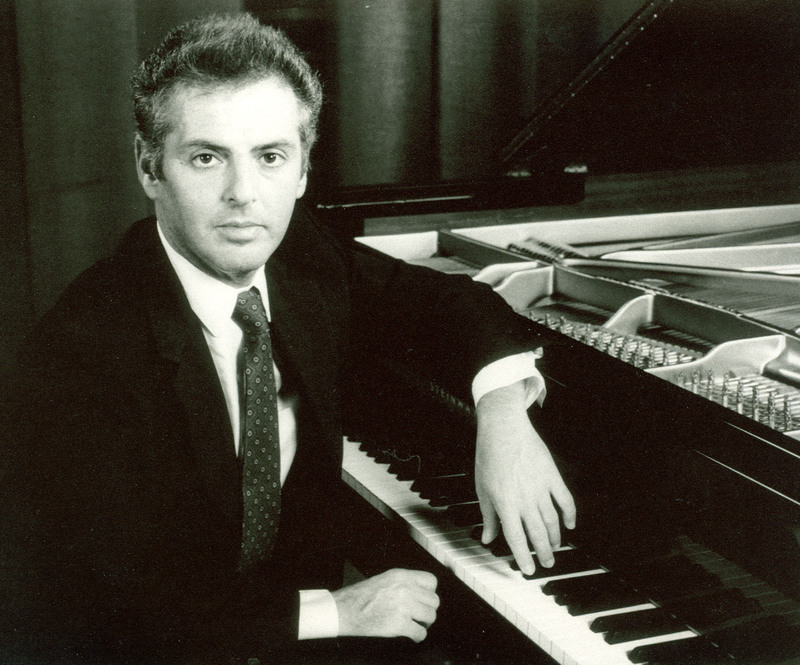 During the final residency of his tenure as music director, Barenboim presented Bach’s The Well-Tempered Clavier in two piano recitals: the first book on June 4, 2006; and the second book a week later, on June 11. 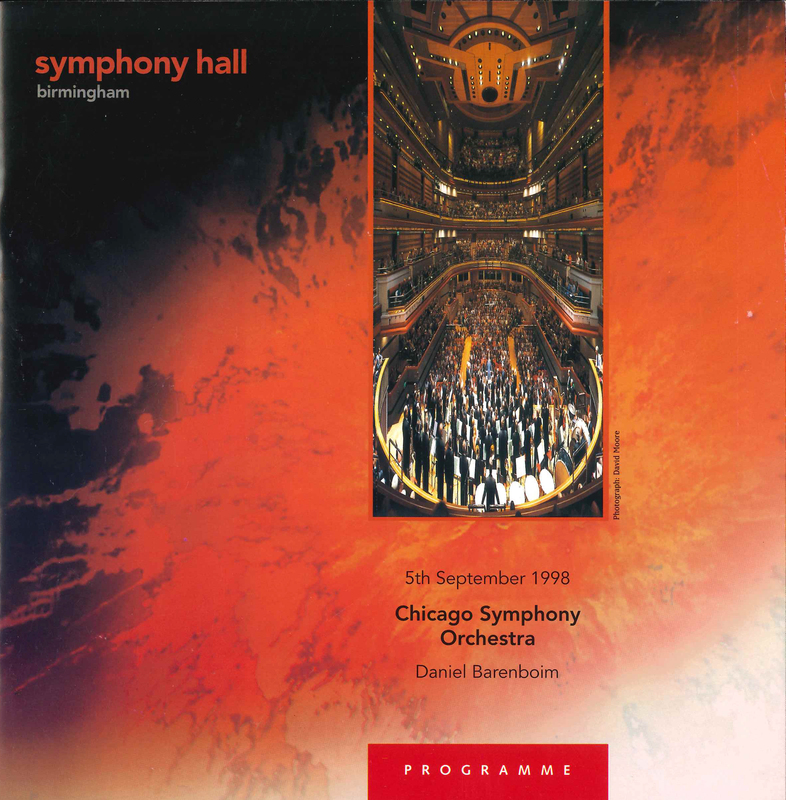 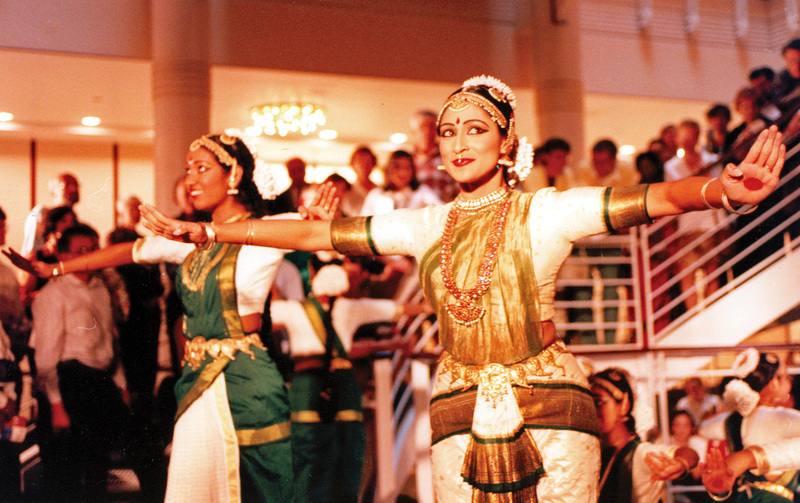 After more than three years of planning, building, testing, and fine-tuning, Symphony Center—a $120 million project that included a facility expansion and extensive renovation of Orchestra Hall—opened its doors on October 4, 1997, with an opening night gala concert. 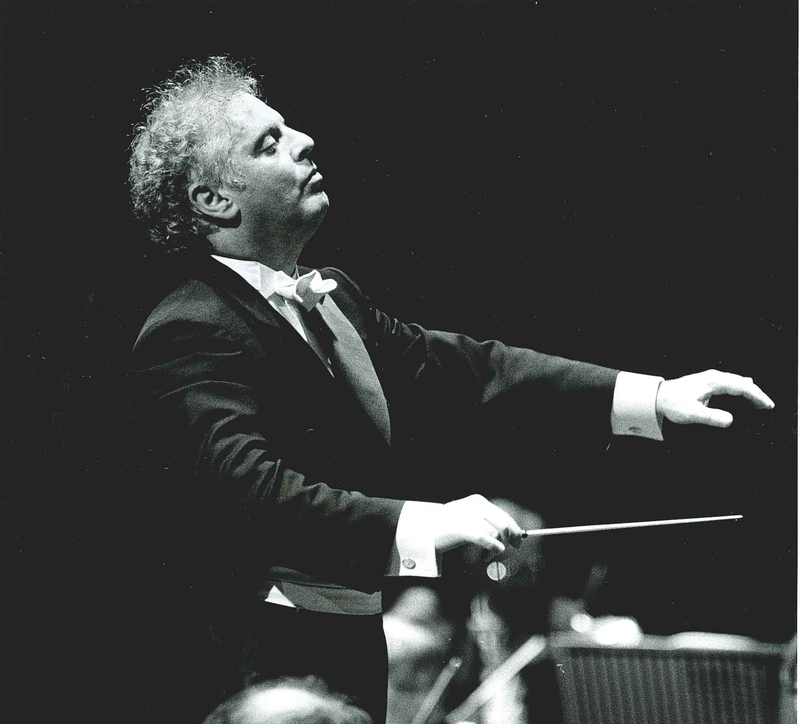 Launching a three-week inaugural festival, the October 4 gala concert was conducted by Daniel Barenboim and included excerpts from Verdi’s Otello with Soile Isokoski and Plácido Domingo, Beethoven’s Fifth Symphony, Mozart’s Piano Concerto no. 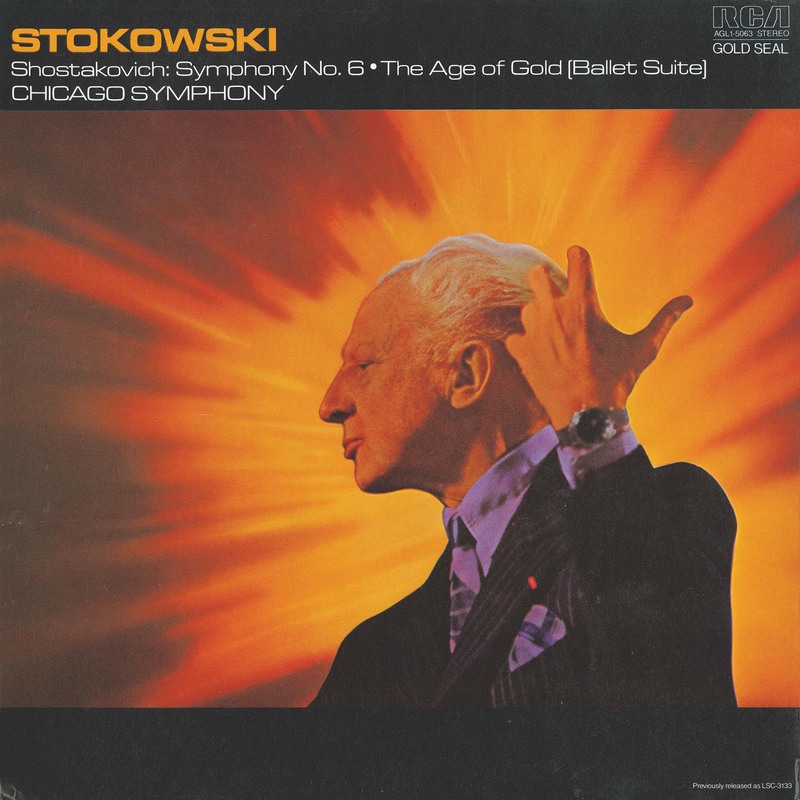 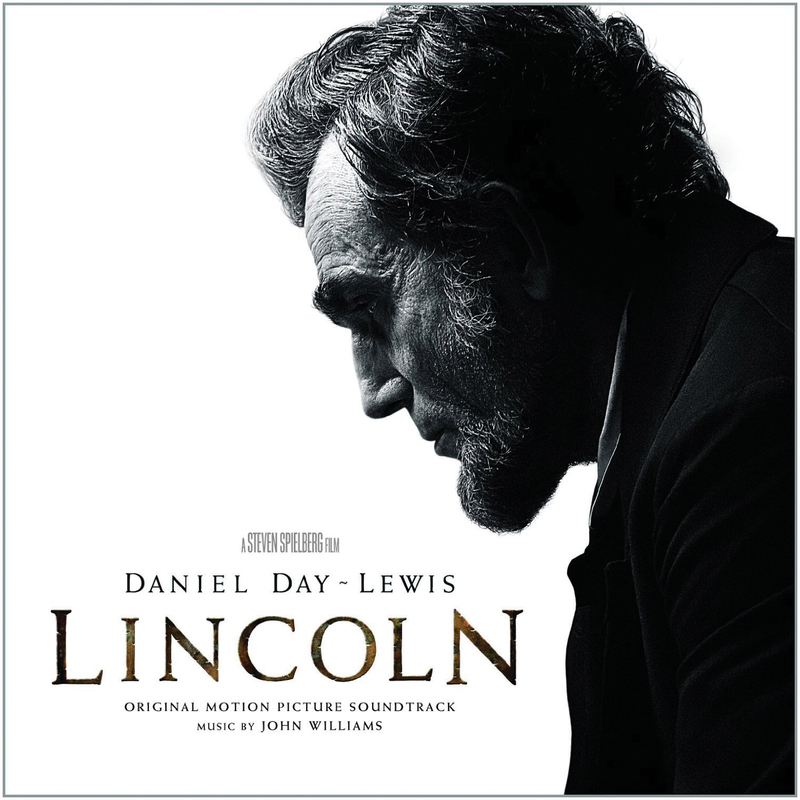 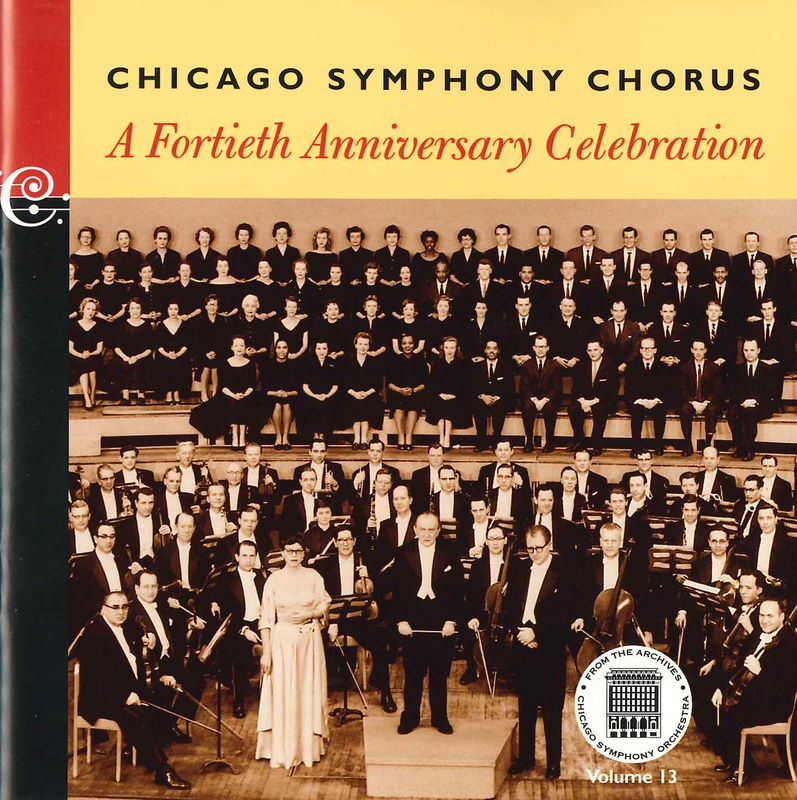 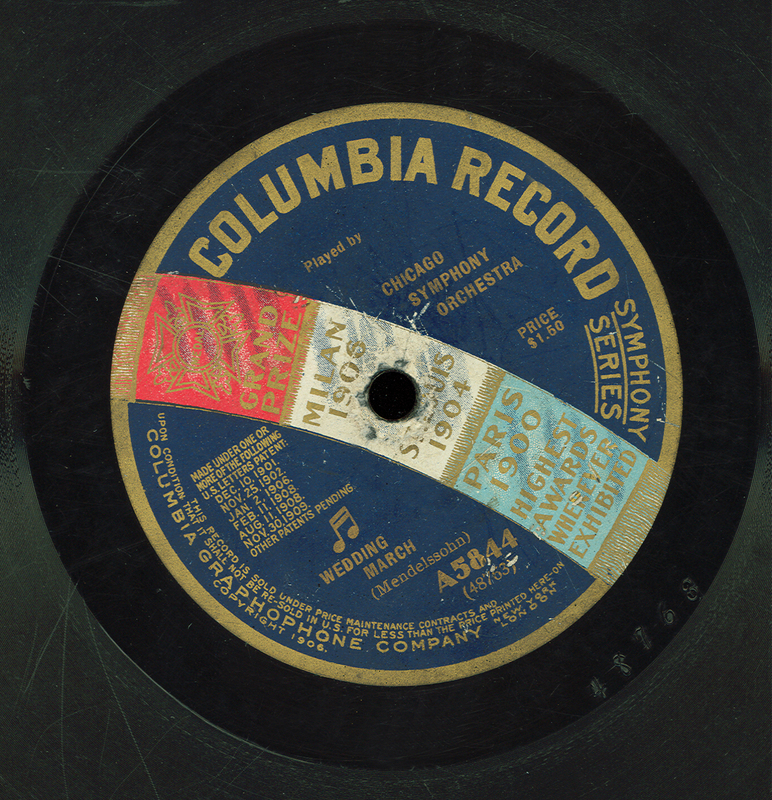 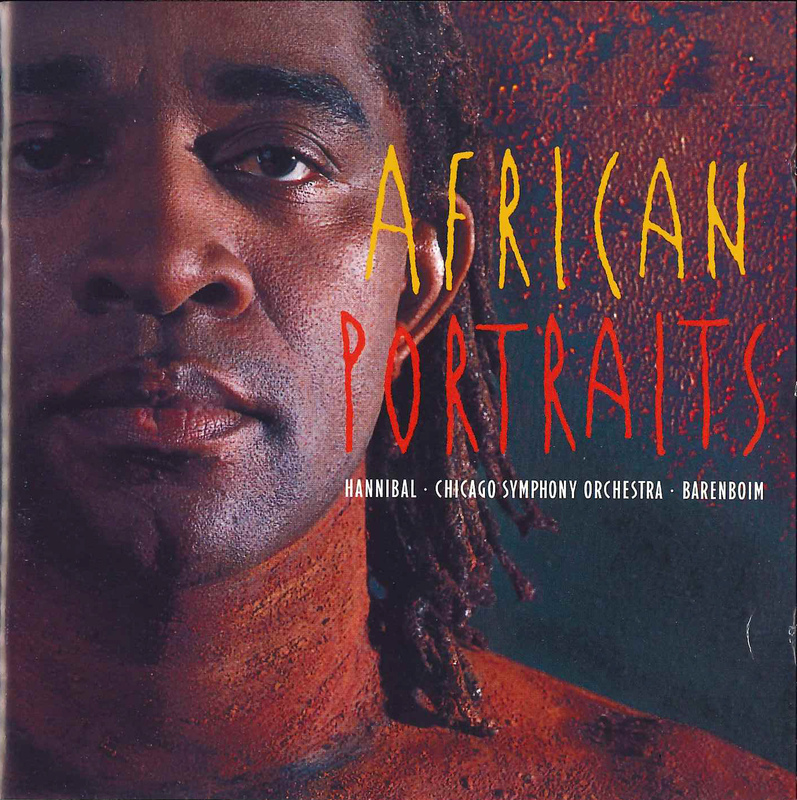 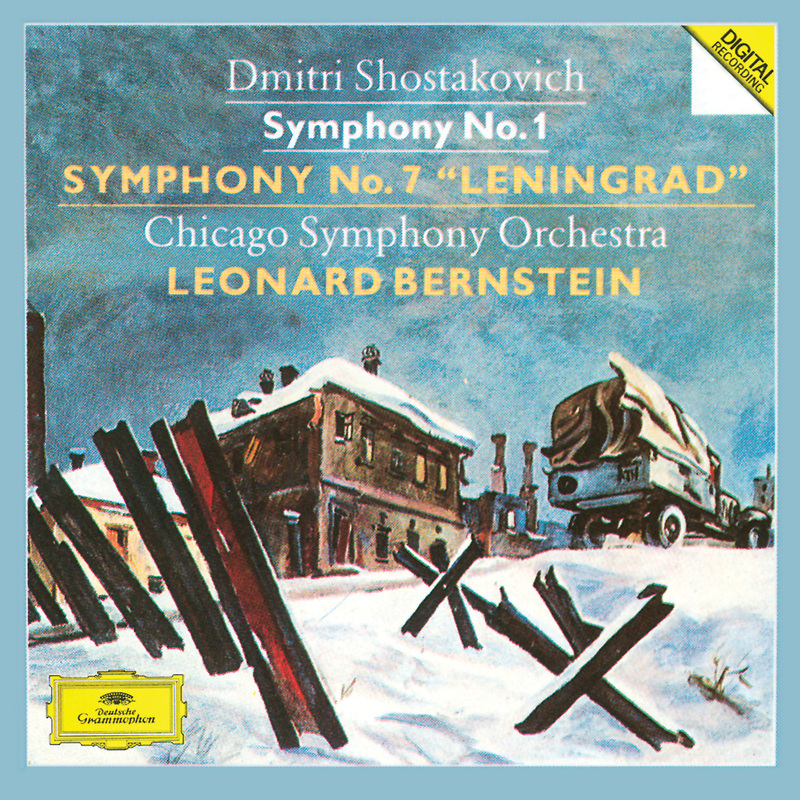 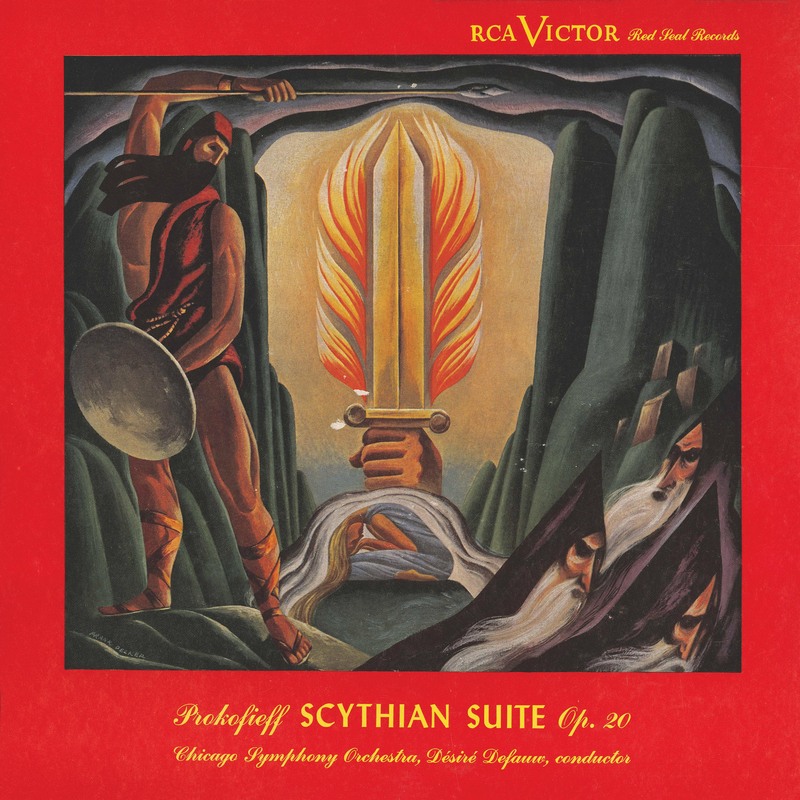 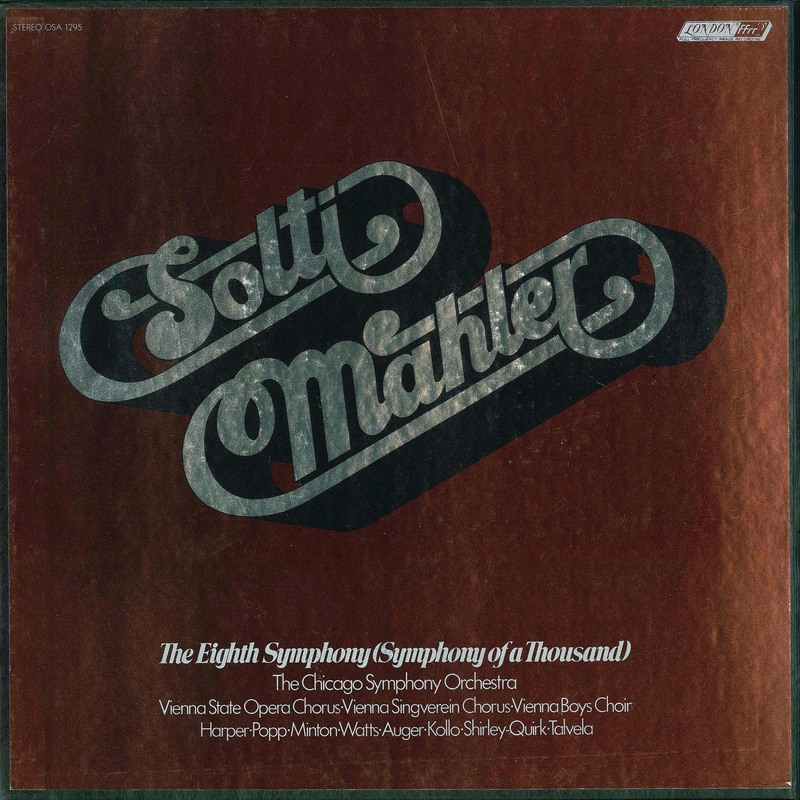 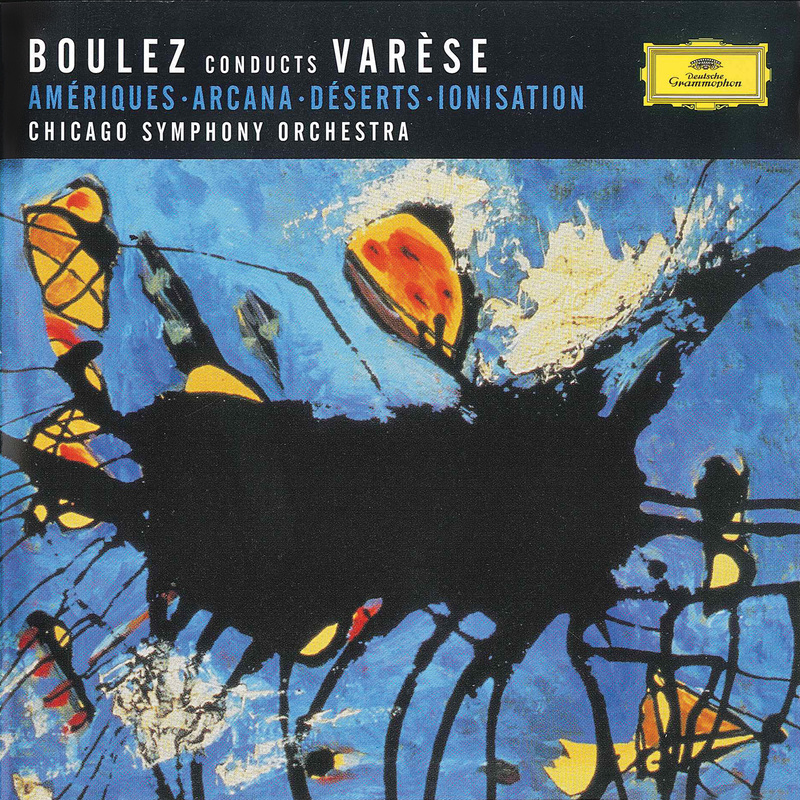 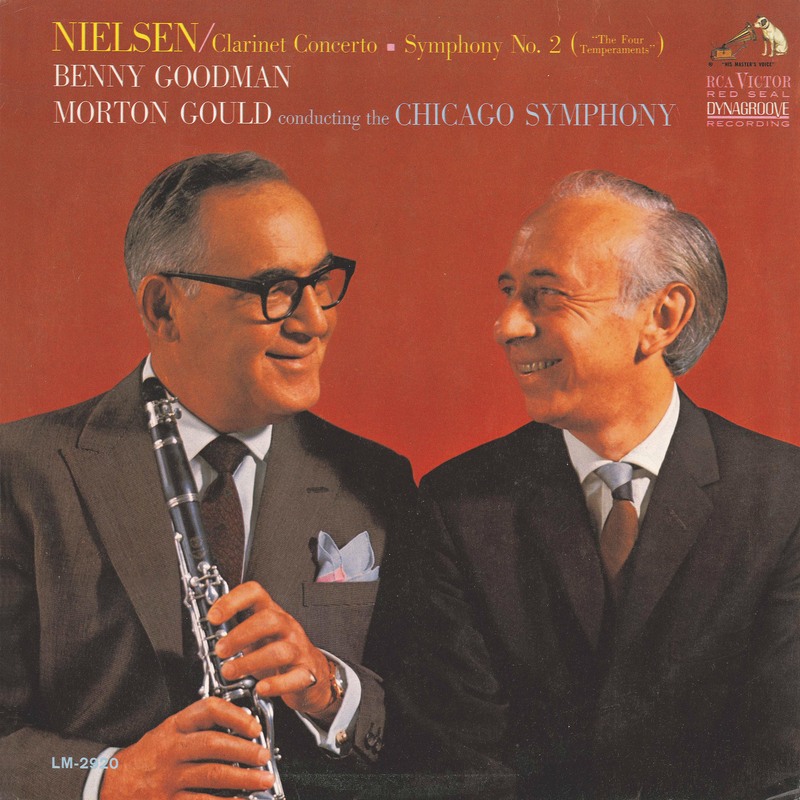 27 (with Barenboim conducting from the keyboard), Copland’s Lincoln Portrait with William Warfield, and Bruckner’s Te Deum with the Chicago Symphony Chorus. 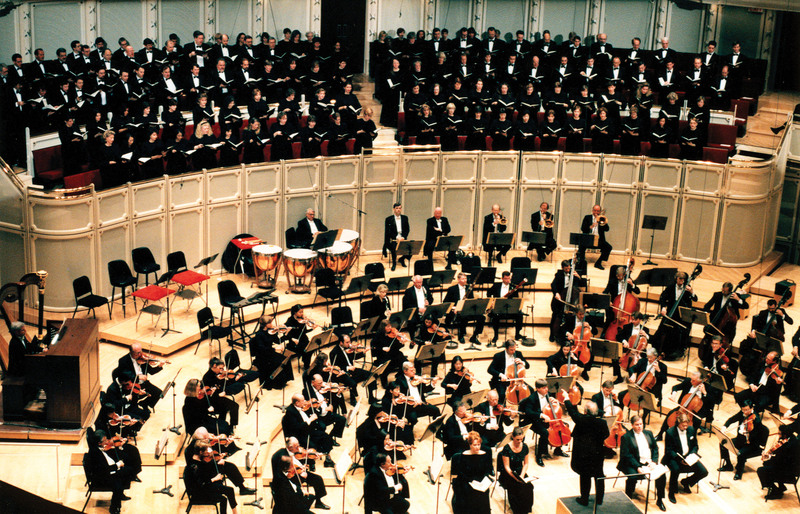 Midnight marked the beginning of the first Day of Music: twenty-four hours of free, live performances of music across all genres in multiple Symphony Center venues, attended by more than 20,000 people. 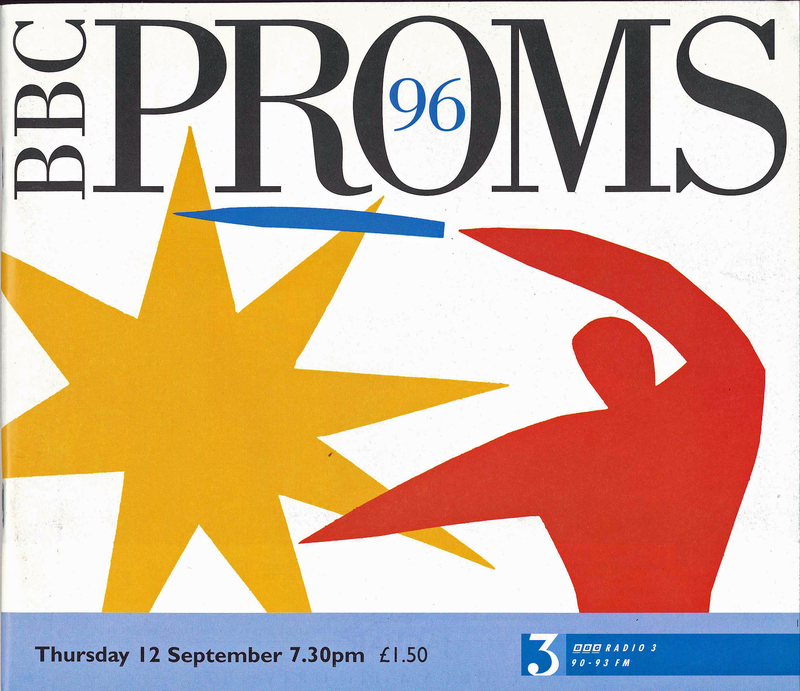 Sadly, the many celebrations were bittersweet. 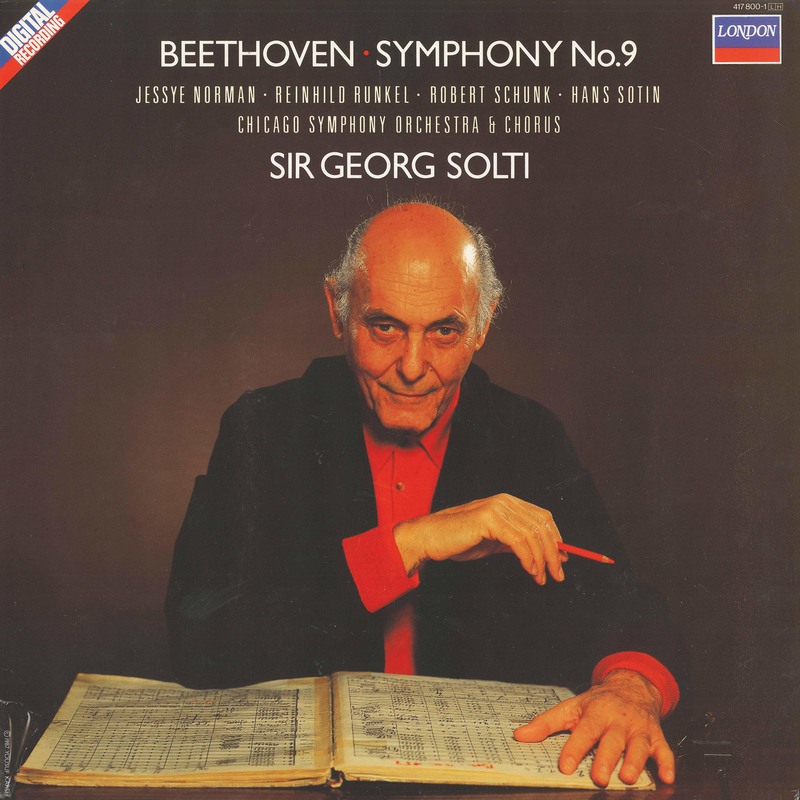 Music director laureate Sir Georg Solti—who, during the festival would have celebrated not only his eighty-fifth birthday but also his 1,000th concert with the Orchestra—had unexpectedly died on September 5, 1997. 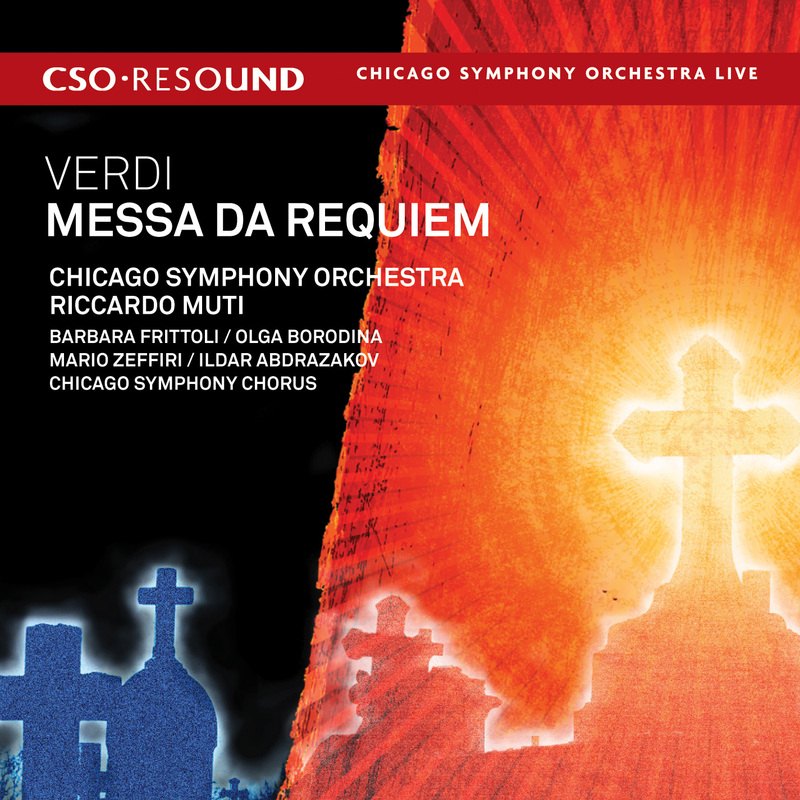 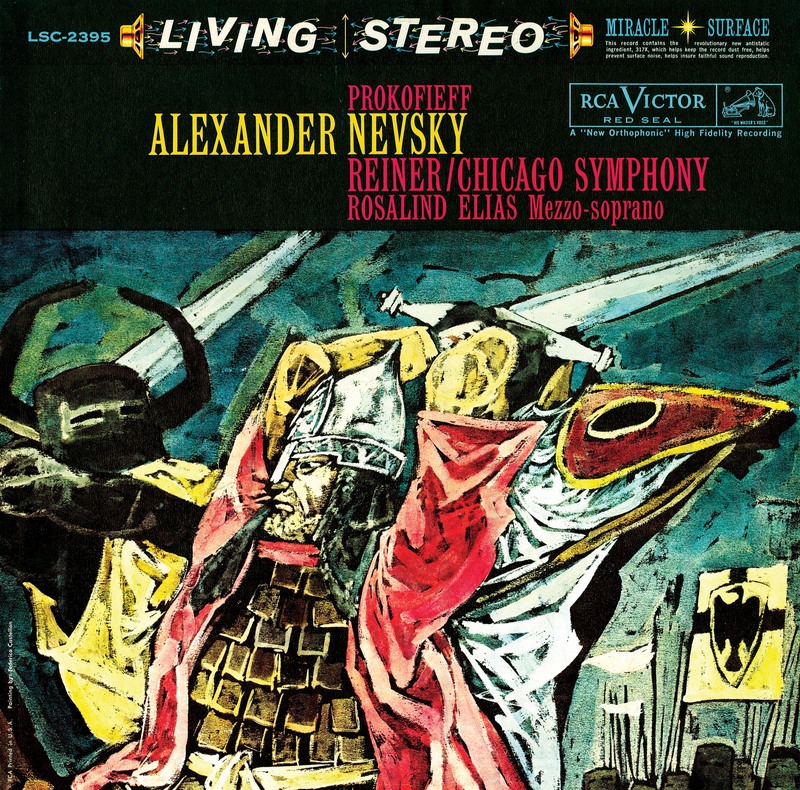 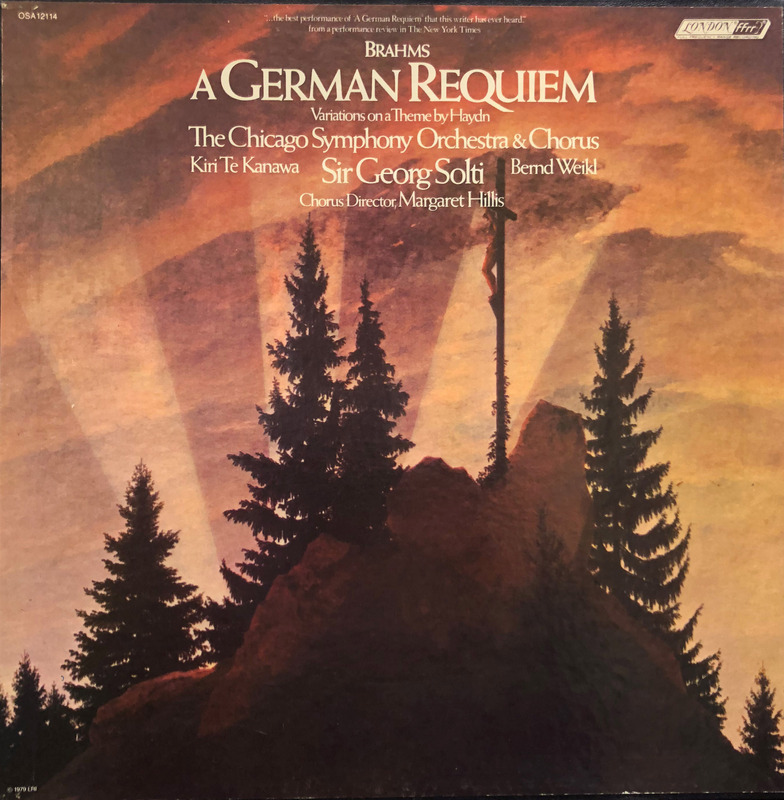 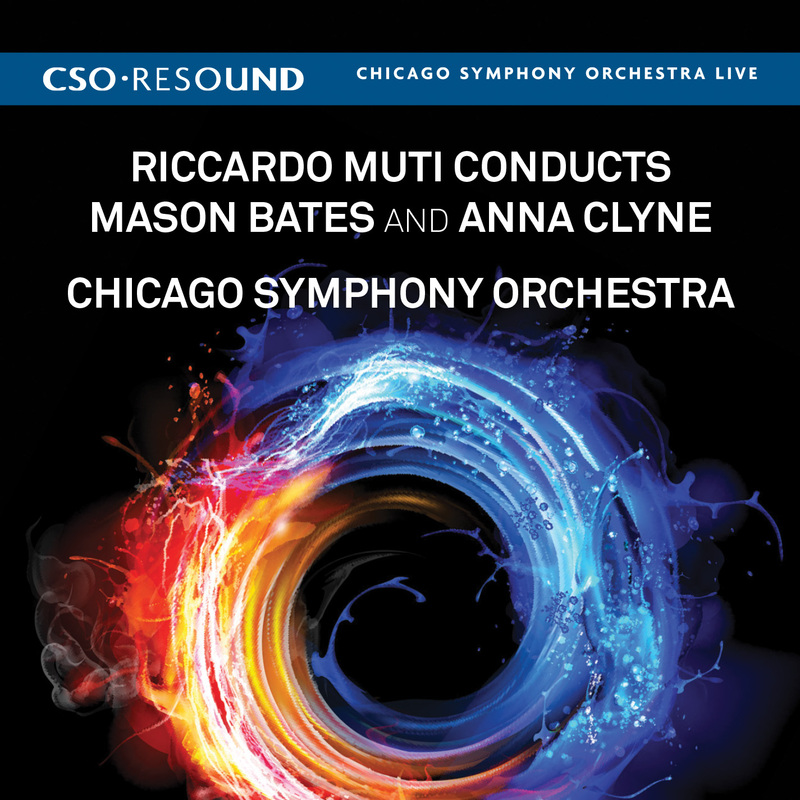 A special, free memorial concert was added on October 22 that included Wagner’s Prelude to Die Meistersinger von Nürnberg and the Prelude and Liebestod from Tristan and Isolde, followed by Mozart’s Requiem with Emily Magee, Anna Larsson, John Aler, René Pape, and the Chicago Symphony Chorus. 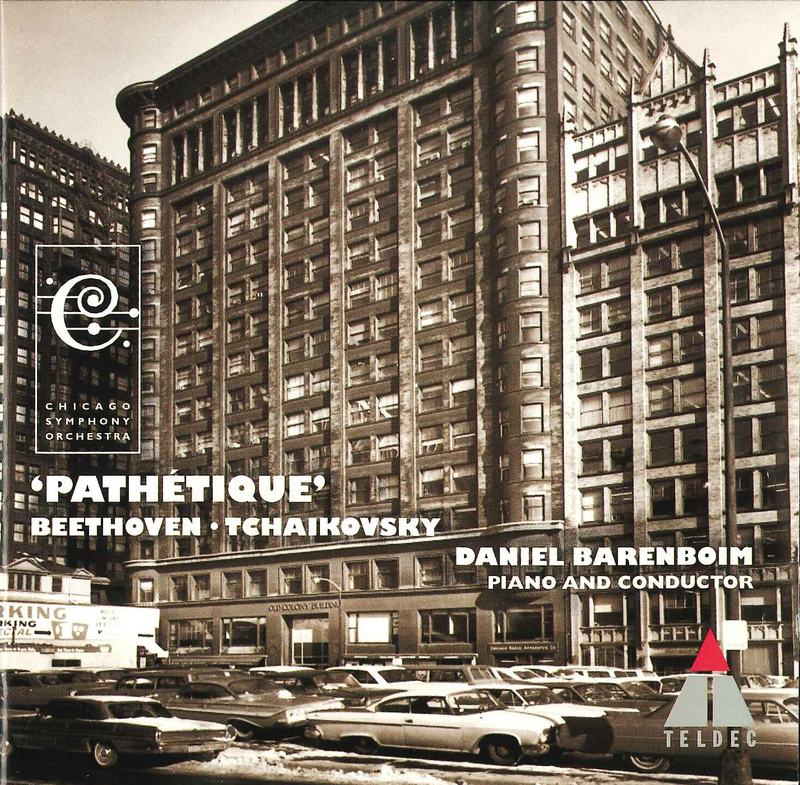 A celebration concert was given on October 25, with Daniel Barenboim conducting Beethoven’s Third Piano Concerto (from the keyboard) and the Seventh Symphony.